It’s time for the final Update Monday of this campaign. After 122 updates we’re saying goodbye to ‘Update Monday’ starting today. From now on we will update you about Ockel on a monthly basis, here on Indiegogo. This Indiegogo campaign page won’t disappear. We will closely monitor this page and stay in touch with you via the comment sections & the once-a-month update. You will still be able to purchase an Ockel via this page and soon we will add an option to purchase accessories via this Indiegogo page as well. Obviously, you are also more than welcome on our own webstore to order your Ockel devices and/or accessories. In case you would like to stay updated about Ockel news, promotions and other fun stuff please also make sure to subscribe to our newsletter list, which can be done on the homepage of our website. We would like to thank all of you once more for joining this campaign. It has been an amazing journey from start to finish. We have set the bar for projects we will release in the future! Speaking of which… exciting stuff is coming in 2019! Don’t miss this: The first Ockel update of 2019! On behalf of the entire Ockel team we wish you a wonderful 2019! Thanks for taking the time to read the first update of 2019, it for sure is an interesting update to read! This week we have fantastic news for the 20 backers who are awaiting their shipment as well as some more interesting news. Those who are still waiting for their Ockel to arrive, pay attention to this: You will receive your Ockel Sirius A Pro next week! Currently we are preparing the Ockels for shipment and we expect to start the shipping process later this week. This means that we expect the Ockels to arrive at your doorsteps starting next week. You will receive a tracking code per e-mail when your package is underway! It has been a long journey, but we are finally there as we are now approaching the ‘all Indiegogo orders fulfilled’ mark. We can’t thank you enough for the support, patience and kind words we received during this campaign.. you rock! There couldn’t be a better start of 2019 in our opinion. While the Indiegogo order fulfillment is coming to an end, the campaign is still up and running. We are real close to the 1 million mark and can’t wait to reach this amazing milestone for the first time in the history of Ockel! It would be great if you could this campaign once more with your friends, family and collogues to grow the Ockel community even further. Our CEO Tim and product engineer Jan Paul are heading to Asia next week. Just before the New Year holidays they’re about to close some deals and perform a thorough inspection of the Ockel Sirius A production & assembly lines. More about their trip will be shared later. It’s time for the final update of 2018. What a great year we have had. In 2018 we finally celebrated the long awaited release of the Ockel Sirius A, our own official online shop and the launch of Ockel Investments. 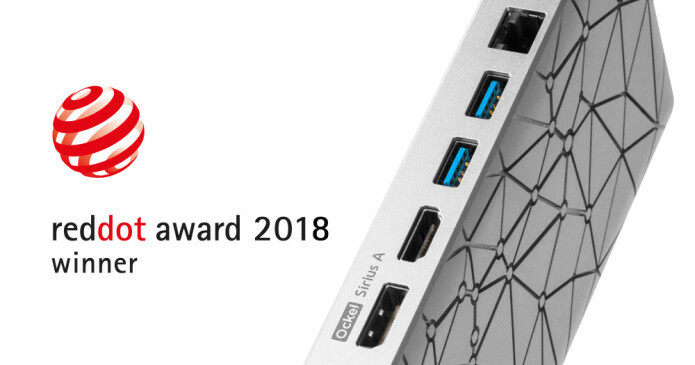 We also won a Reddot Award and we obviously continue our mission to reinvent the PC in 2019. Stay tuned as we have some big (pocket-sized) things planned for next year! 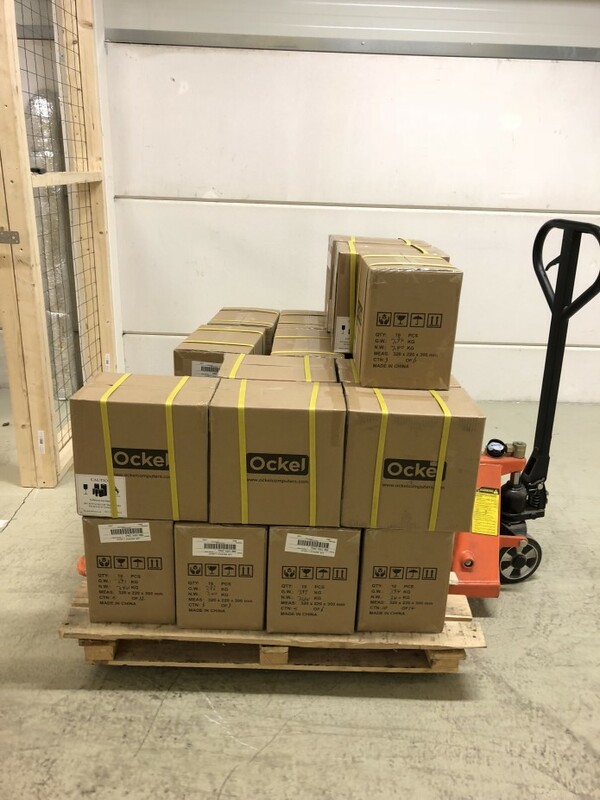 With most of the ‘Rest of World’ backers receiving their Ockel Sirius A Pro a couple of days before Christmas, we managed to ship out the remaining batch of European orders last Monday. 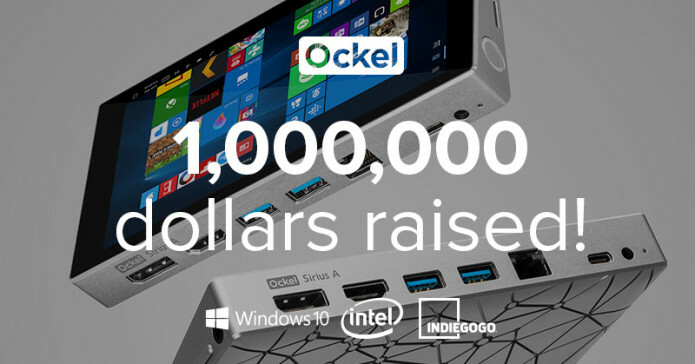 There are still some backers awaiting their Ockel Sirius A Pro perk and we won’t let you down. Next week we’ll be back with a production update and hopefully an estimate on when you will receive your Ockel! We wish you all the best for the year ahead of us. Together we will continue our journey to reinvent the PC. Thanks for being part of the Ockel community in 2018. Time for our weekly update again. Today we are very happy to share fantastic news for most of the backers here on Indiegogo, as well as a short production update, the last chance for the perfect holiday gift and our holiday schedule. The Sirius A Pro’s are (almost) on their way! Great news for two-third of our backers who are awaiting their shipment. We will ship out your orders this week. Keep a close eye on your e-mail inbox for tracking information, with a little bit of luck your Ockel arrives before Christmas! For backers who will not receive a trackingcode this week (or Monday next week), we’ll aim to ship your units later this month. As soon as we have more information available about your shipments, we’ll update you accordingly. Please also consider that you may not receive the color you’ve initially ordered, due to the fact that we streamlined our production. In case you missed the news about the production streamlining, feel free to read the update in which we shared the news here. 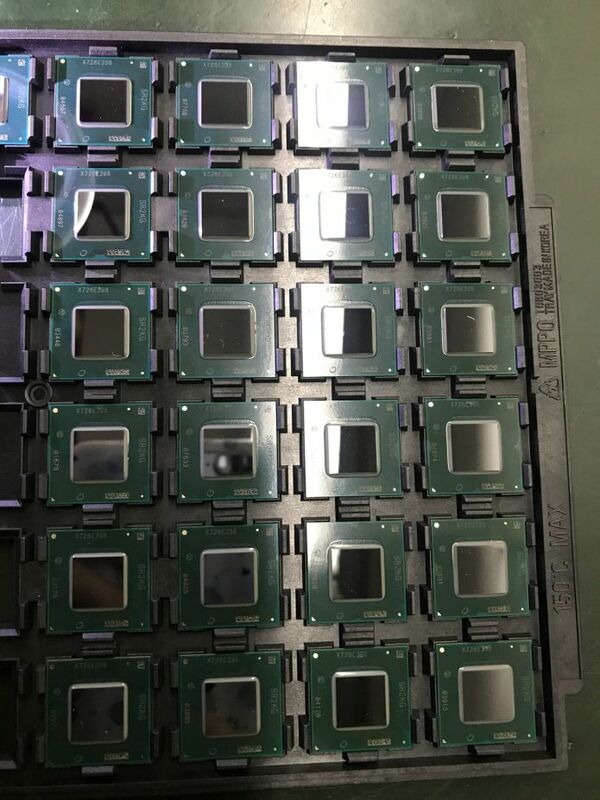 Here’s a quick shot of our CPU’s which will be assembled on to the PCB’s. We can’t wait to fulfill all existing back-orders and we’re running on full-force to make this happen! 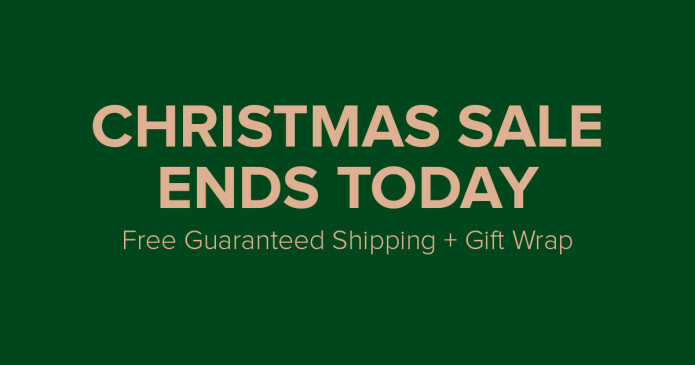 Today = your last chance to order the perfect gift for the holidays. During our Ockel Christmas Week, you’ll get the last chance to get your hands on the perfect Christmas gift for yourself or beloved ones with an awesome discount. *This promotion does not apply to the Ockel Sirius A Pro. We’ll be celebrating Christmas too. This means that we won’t be in the office from Monday – Wednesday the 24th – 26th of December. Therefore, there won’t be an update on Monday the 24th. In addition to that please note that e-mail response may be delayed. The final update of 2018 will be shared with you on December 31. Time for a new update. This week we’ll update you about the Ockel Holiday Week and we’ll give you a quick production update. Today = Green Monday. Traditionally the last chance to order your Christmas gifts online with guaranteed delivery before Christmas. We decided to stretch Green Monday to last a whole week, instead of just one day. During our Ockel Christmas Week, you’ll get the last chance to get your hands on the perfect Christmas gift for yourself or beloved ones with an awesome discount! The PCBs are on their way to our SMT-facility and we will be awaiting their arrival this week. 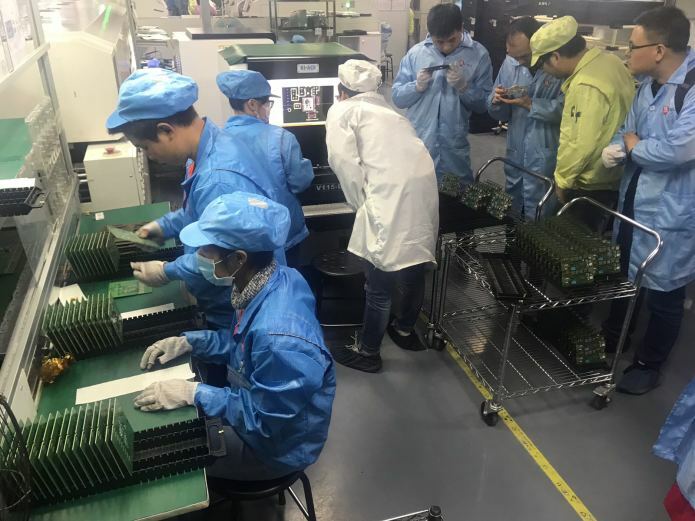 As soon as the PCBs arrive we will start with the SMT process, all workers and SMT production-lines are 100% ready to ramp-up the production for the Sirius A’s. I aim to have some photo’s to share with you in next week’s update! This week we’ll share last weeks’ investor meeting with you, as well as an update on the production schedule. 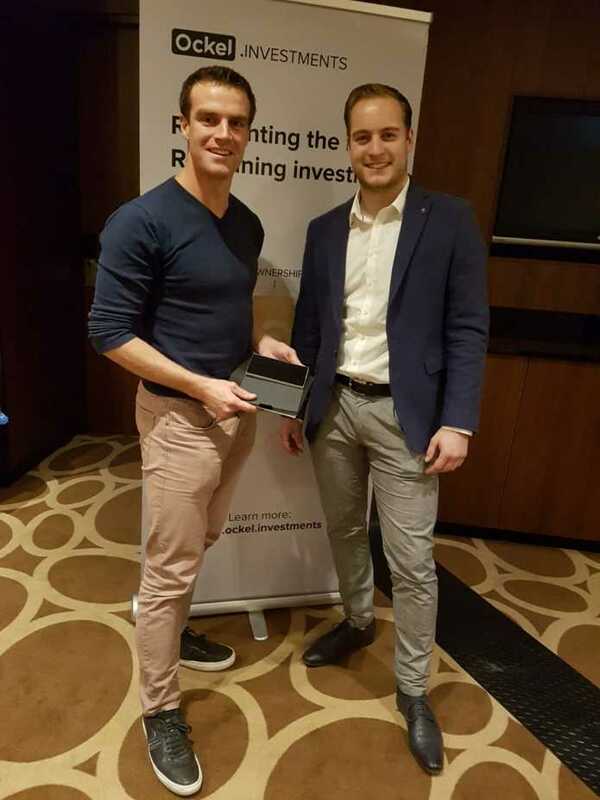 Last week we organized an investors event in The Hague, to present our innovative investment opportunity to potential cornerstone investors. The turnout was great! We’ve met some loyal Business Class viewers and even one of our first backers. Teun was one of our first backers for the Ockel Sirius B (white model) campaign and he was Backer no.3 for the Ockel Sirius A campaign. Thanks for coming Teun! Good news! The PCB’s will be finished this week. The SMT process will begin early next week, after which we will start with the assembly and testing of the units. We can’t wait to bring you the good news about your shipment later this month. An exact indication cannot be given at this time, but we’re aiming for December. It’s once again time for a new weekly update, here on Indiegogo. No further updates here. We’re still awaiting the PCB production and everything is going according to plan. Last chance to join the Black Friday & Cyber Monday madness! We have had a successful Black Friday weekend and we decided to extend our promotion with one more day during Cyber Monday. This really is your last chance to grab an Ockel Sirius B Black Cherry with an amazing discount. We have some news regarding the production to share. As well as upcoming Black Friday deals for our Ockel Sirius B Black Cherry! We have good news, as we know have an official estimate for the PCBs to be ready. On December the 8th we will receive the PCBs and the SMT will immediately kick off at the 10th of December. When the SMT has been finished our production line will run on full force to assemble all Ockel Sirius A (Pro’s) as quickly as possible and start with the shipping process straight afterwards. In the meantime we will keep you updated about the overall progress in our weekly updates. Great news for ‘deal hunters’. Black Friday is almost here! We will join the Black Friday madness with awesome deals on our Ockel Sirius B Black Cherry model – the perfect gift for the holidays for your family, friends or yourself! Stock is limited, so make sure not to miss out on this amazing opportunity. To be gain super early access to this deal, subscribe here. No worries, we won’t spam you! Today we have a brief update. As there is not too much new news to mention, we’ll just share the latest production update with you. Everything is running as it should run. We are still awaiting the PCB manufacturing and once the PCBs are ready, we will start the assembly of the Ockel Sirius A’s! Obviously we are eager to make this happen as quickly as possible. As soon as the PCBs are ready, you’ll be the first to know. Time for the weekly update. This week we’ll briefly update you about the Switch Mode feedback, production progress and our dedicated Ockel investments Twitter account. Thanks a lot for sharing your feedback on our Switch Mode Alpha mode, we’re working hard to add more features and will keep you posted about the progress we make. Obviously, a keyboard functionality will be built in as well. Currently the production of the PCB’s is underway. There not much news to share regarding this topic, as everything is going according to plan. You’ve most likely heard about our investment opportunity before and in case you didn’t, make sure to check our Ockel investments website! 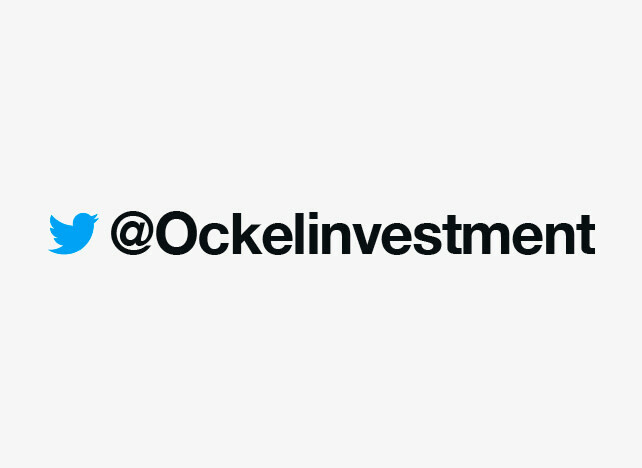 For our investors, relations, backers, fans and family we have created an official Twitter account (@Ockelinvestment) dedicated to the Ockel Investment project. Here you can find the latest news and information about our redefining investment opportunity. Make sure to follow us! Today we have a new update for you. This week we’ll brief you on the production progress, the Switch Mode Alpha release and last but not least, our monthly newsletter! Great news! The new PCB design has been approved and we’ve already placed the order for the new batch of PCBs. The latest estimation is that the lead-time for the PCB is around 40 days. We’ll keep you posted about the progress on the PCB production. Last week we promised you to release the Switch Mode BETA. To be honest, it will be an Alpha test phase as there are still many aspects that require improvement. “Before experimenting with the SwitchMode app, please ensure your external display is setup as extended display. Once you’ve done that, simply run the SwitchMode executable. 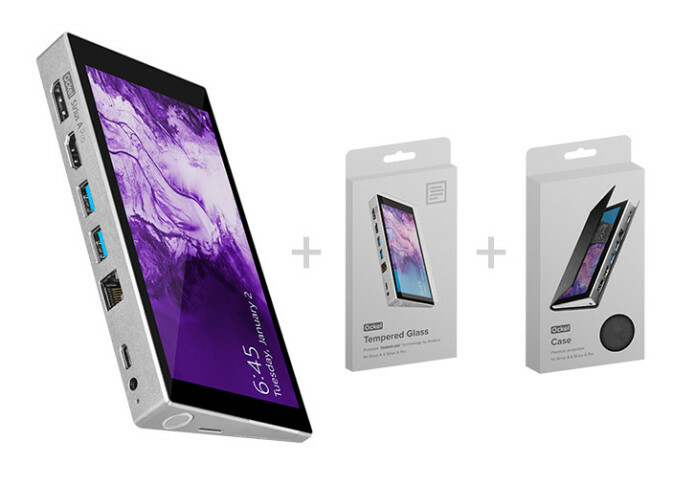 If an external display is connected, all applications will be moved to the external display, the Sirius A display will turn white and function as a trackpad. Disconnecting the external display will make the SwitchMode run in the background. Last month we started with the first edition of the Ockel newsletter. 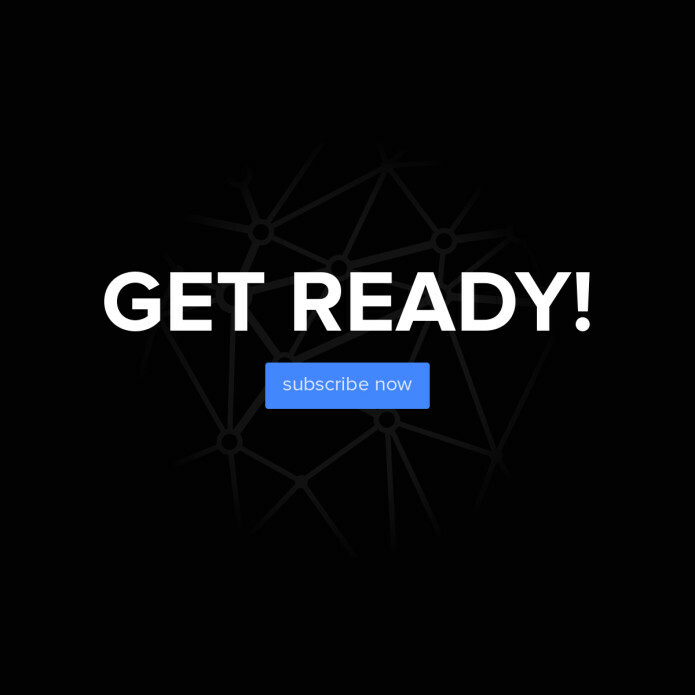 From now on we’ll update our subscribers every month about the latest product news, behind-the-scenes action and much more other cool stuff we’re working on! It’s once again time for a new update, this time we’re back at our HQ to present you the latest news. Today we’ll update you about the production progress and the Switch mode BETA. Currently we have our hands on the latest production models of the Ockel Sirius A’s with the 2.0 version of the PCBA. We expect to finish our own tests later this week. As soon our tests have been finished we will order the remaining PCBs. The production and assembly will be scaled-up as well. We also have a video of the laserprinting process for you. We use a laser to print the unique serial code, logo and batch number on to the Ockel Sirius A’s. We are working hard to (finally) release the BETA of the Switch Mode in the next week’s update. It will be an ‘empty’ shell, without any installation interface. Obviously, we will use your feedback to improve the switch mode. In parallel we are in talks with Microsoft to make sure that we will be able to distribute the Switch Mode efficient. 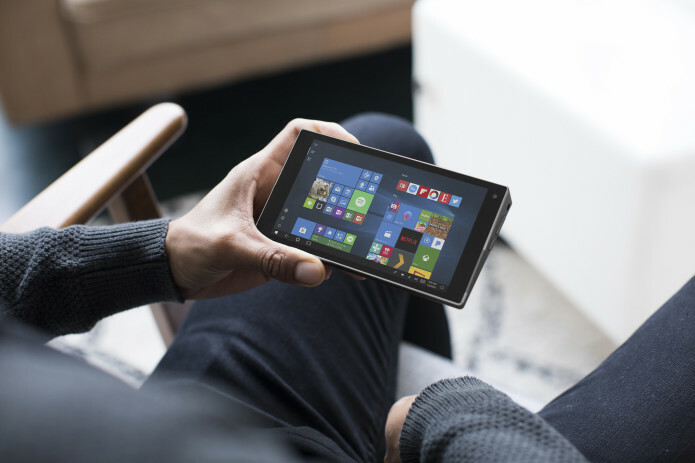 One of the major challenges we have is to keep the Switch Mode up-to-date according to the latest Windows builds, as they are commonly being released. Without further ado here is the latest update, all the way from Hong Kong! As Tim and I are currently in Hongkong, we have had the chance to meet with several of our tech partners. Last night we have had an Intel event, which was quite interesting for us to be part of. Tomorrow we will meet with the Dutch Chamber of Commerce in Hongkong, which will be interesting for us as well. As we are here both for the Ockel Sirius A production and the Ockel Investment project, we have been busy talking to potential investors as well. In case you haven’t yet invested in Ockel, you still have the option to do so! As far as it goes for the production we have no further updates other than we shared last week. Our own pre-production demo units will arrive this Wednesday and we’ll take them home to our HQ for further testing. In our production facility the tests are running on full-force to make sure we can guarantee a high quality for all to-be produced Ockel Sirius A’s. As soon as we confirm the pre-production models, the Ockel Sirius A production will kick-off. We’ll be back next week with more information regarding the Ockel Sirius A production. 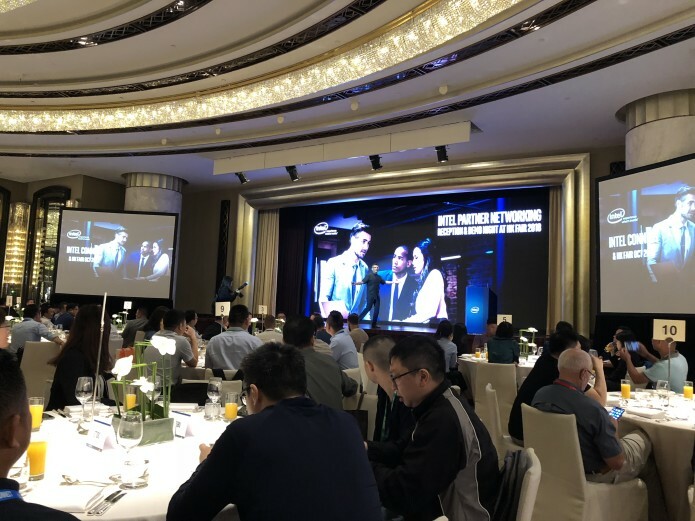 As we mentioned in our last update, we organized a press event last week. Our team managed to finish the video of an interview with Tim Haaksma and Chiel Ruiter last weekend. Below you’ll find the video (as we promised to share) in which Tim and Chiel give you an insight in what a token is and how you are able to invest in Ockel starting at only €25,-! In case you want to learn more about this investment opportunity please visit our website: ockel.investments. Time for an all new update. This week we’ll tell you more about the production status, the Ockel Investment press event and an upcoming trip overseas. The national holiday is officially over. This means that all aspects of our production are slowly getting back up again. We are happy to tell you that the test phase of our pre-production models has been started and is expected to finished in the middle of next week. We aim to get our hands on a fully assembled pre-production model later next week. We’ll take it back to our HQ in the Netherlands and will extensively test the model in-house (day-to-day activities) as well as in third party test facilities. As soon as we confirm this model, the Ockel Sirius A production will kick-off. We expect a lead-time for the new PCB models of 30-35 days. After which the units will be assembled and shipped to you. 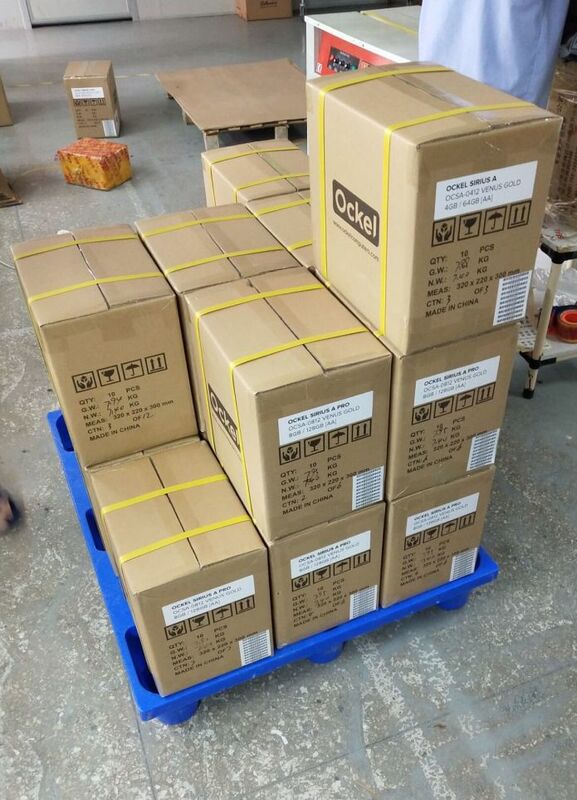 This means that we currently expect to be able to ship out all remaining Ockel backorders in November. We’ll also be able to ship a fairly small batch of Ockel Sirius A’s later this month, we expect to have more details available about this small batch later next week. The word is out, our redefining investment opportunity is now available to the public! As some of you might already know, Ockel Computers has become a public company. 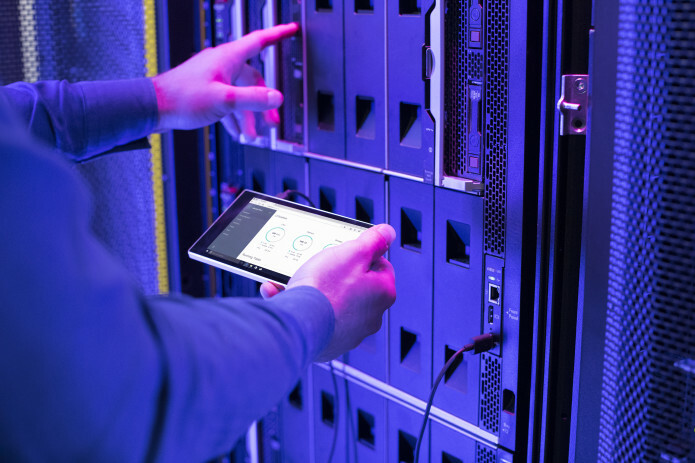 We are the first Dutch hardware company to do this in a new groundbreaking way. The funding counter is filling up quick. Claim your piece of Ockel starting at only €25,-! 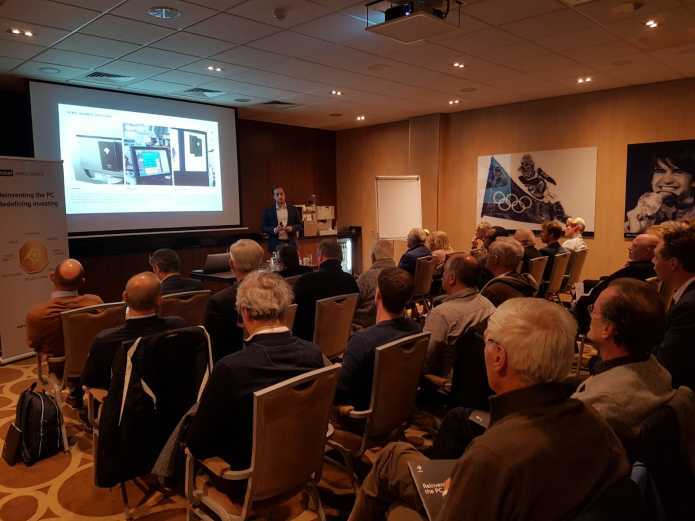 We are actively promoting this opportunity and last week we hosted a successful press event in Amsterdam. With several speakers, including an ex-banker, a professor and obviously Tim himself we aimed to inspire and inform all present (local) press. An after movie is in the works and will be shared with you later on. Tim was also interviewed by Bitcoin Magazine. You can find the full video here on Youtube! Tim and I will be traveling overseas later this week. We will be present at an Intel event, as well as several events related to the Ockel Investments opportunity. We also have scheduled several meetings with our tech partners to talk about the Ockel Sirius A production developments. If you happen to be around in Hong Kong next week, feel free to reach out to us to meet & greet! The trial production of the upcoming round of Ockels is going according to plan. The SMT is finished and we are currently preforming software tweaks to the WiFi chipset. 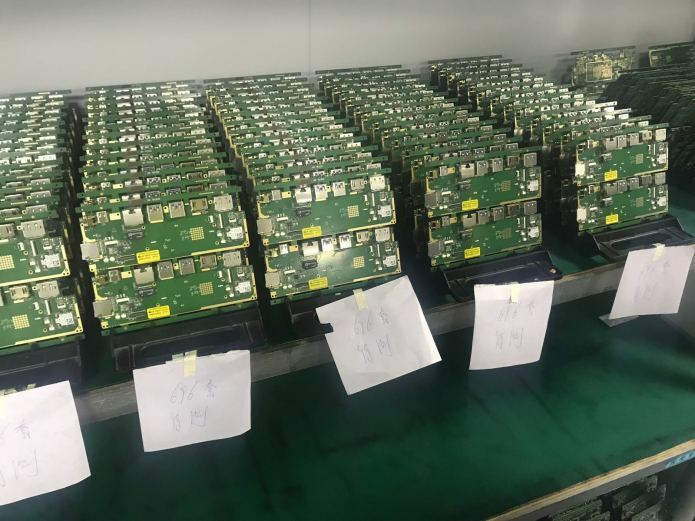 As soon as this process is finished we will start with the extensive tests after which we’ll immediately start with the production of the large batch of PCB’s. Currently the factories overseas are closed due to the national holidays this week. We will update you in greater detail later. We’re going public this Thursday! Exciting things up ahead. We’re going public this Thursday afternoon (European time). 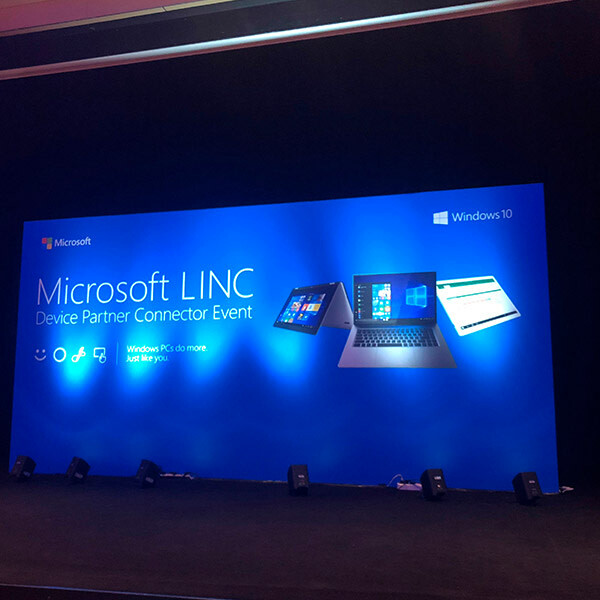 We have scheduled a local press event in Amsterdam and we will make sure that all of you will receive an update as soon as we’re live. Good news for everyone, as you will be able to invest in Ockel starting at €25,-! More details will follow in the next update, here on Indiegogo. Obviously, if you want to learn more about us going public, make sure to sign up for our newsletter. As mentioned in some of our previous updates, we are nominated for the ‘Start-up of the year Award 2018’. In order to win the precious award we need your help. The voting round is still open, so if you haven’t yet voted for us.. please do so today! 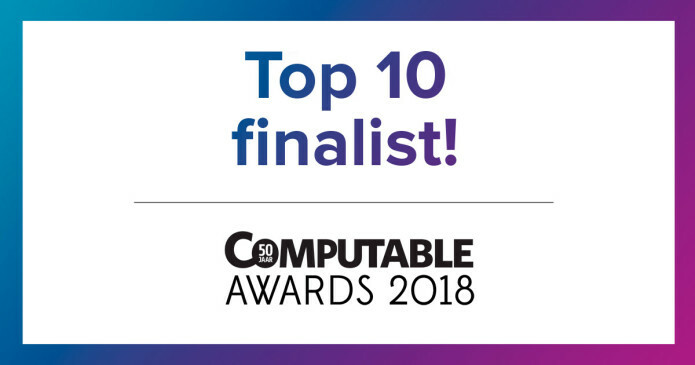 Note that you’ll have to fill-out the form firstly, after which you will receive an e-mail with an unique URL to vote for Ockel Computers in the category ‘Start-up of the year’. Today we have a brief update for you. Last week we’ve started the SMT-process and everything is looking great so far. We still expect to start with the first durability, performance and quality tests this week. Which is ahead of our previous estimated deadline. Also, we’re doing all we can to finish a small batch of Ockels by the end of this week to be able to fulfill a small quantity of backorders. Due to a national holiday overseas, there won’t be any progress today and tomorrow. Next week we’ll be back with more details! Along with the news about streamlining the production last week, we felt that we needed to change some images here on the Indiegogo campaign page. And that’s exactly what we did! In case you missed the news about us streamlining the production, feel free to read last weeks’ update here. We’re going public. And we are real close to the moment that we’re able to spread the word (including all details) to all enthusiasts around the globe. Our project team is finalizing and tweaking all aspects of this massive project and we expect to release the big news early October. Obviously, if we want to be amongst the first to get to know all details make sure to sign up here. Time for another update. This week we’ll brief you about the trial-production progress, as well as the streamline changes we made to the production and an event we had last week with Dutch celebrities. Good news! The trial production run of the new PCB’s has been finished and the PCB’s arrived in our SMT facility. The SMT (Surface-mount technology) will start on Wednesday. Shortly after the SMT is finished, we’ll start with the assembly of the trial production units. We expect to start the first durability, performance and quality tests next week. This is ahead of our previous estimated deadline. Last week Tesla announced to eliminate two of their color options for the Tesla Model 3, to help simply the manufacturing. Today, we would like to inform you that we are too eliminating two colors, period. In the last year we have gathered enough data to dive into the details of the different options we are currently offering for the Ockel Sirius A and Sirius A Pro. As we have two configurations and three colors, this results in a total of 6 Sirius A configurations. However, the current sales trend shows us that there is a high interest in the Ockel Sirius A Pro – Meteor Grey option. 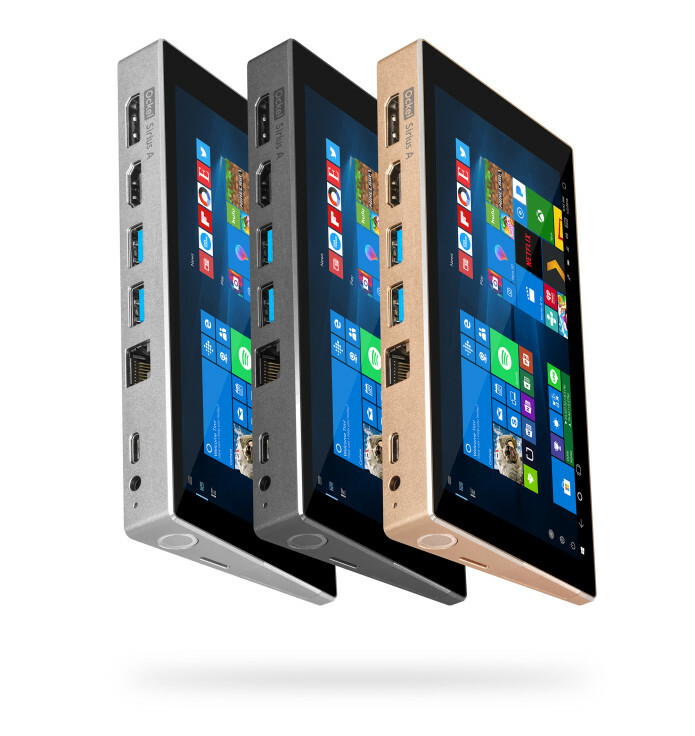 Along with this trend, the sales trend is focused on the Meteor Grey versions of our devices. A total of 85% of the Ockel Sirius A & Ockel Sirius A Pro’s are sold in the color Meteor Grey. As a result, we will eliminate the Moon Silver and Venus Gold options temporarily to speed up the production. A very small percentage of existing backers will still receive a colored option as we still have a limited number of colored casings on stock, however all other orders will be changed to Meteor Grey. 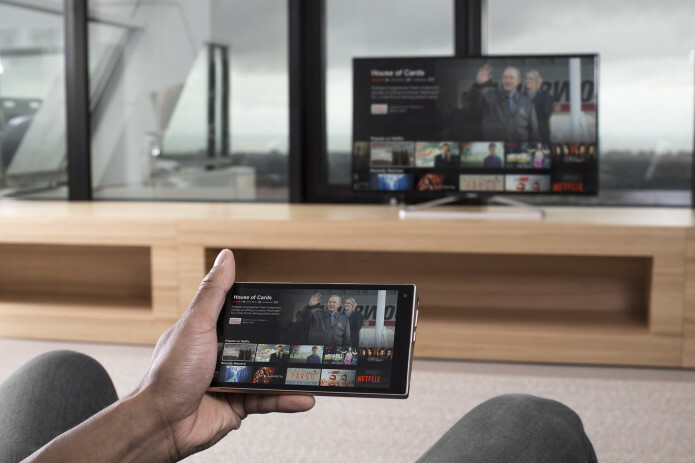 Our current focus is on bringing the Ockel Sirius A’s as quickly as possible to your doorsteps, as well as retail & e-tail channels all around the world. Cutting off two colors will simplify the production process which helps us to reach our focus goal quicker. At this moment we cannot give you an estimate about if and when the Moon Silver and Venus Gold options will be available again. Meet-up with the Dutch celebs. 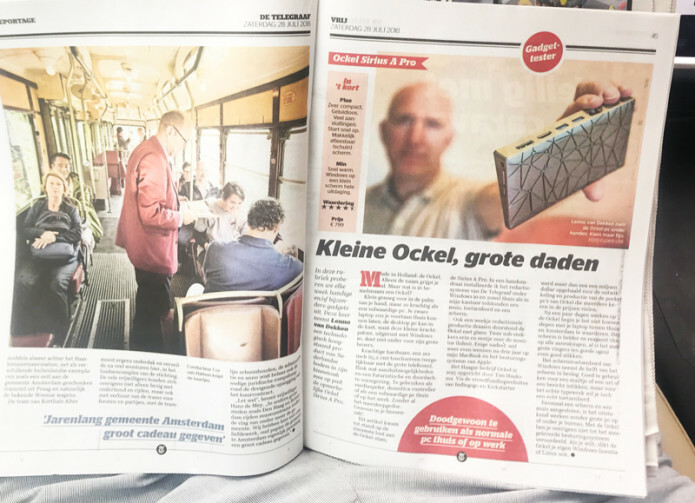 Last week Tim and I got the chance to meet-up with Dutch celebrities to tell them all about the Ockel story and obviously the new ‘We’re going public’ project that’s closing in on us. It was a blast and amazing to see how enthusiastic the celebs were about our PC solutions. In case you haven’t yet read about your chance to become part of Ockel Computers – yes, that’s correct.. part of the company Ockel Computers then sign-up for more info here. Time for a new update. This week we’ll briefly update you about the Production & Overseas trip, give you a shipping update as well as information about our latest listing on Amazon Japan and last but not least, we update you about the big Ockel news which is closing in on us fast. Our CEO Tim and Product Engineer Jan Paul are back in town and have had a successful trip overseas. 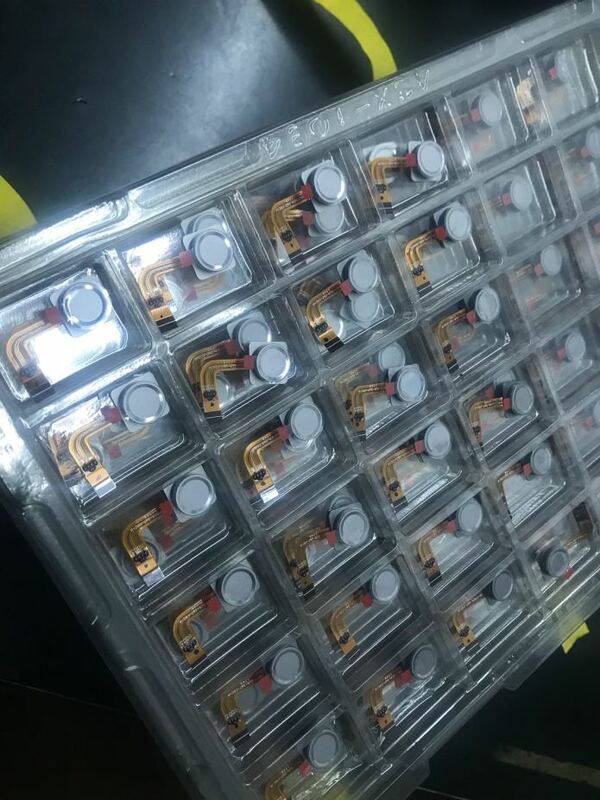 We have made great progress with the trial production of the new PCB’s and we expect to receive the first (trial) batch in the middle of next week. We will start with the SMT process at the end of next week. Our expectation is that we can start with the assembly of the first test units shortly after the Chinese Mid-Autumn Festival. As soon as the trial units are fully assembled we will proceed with the extensive tests which are necessary in order to guarantee the quality, performance, stability, durability and lifetime of the units. Obviously, we will keep you in the loop of the progress while we’re performing the steps as described. Plenty of backers have received a tracking code last week. Good news for those who haven’t received a tracking code yet.. we will ship another small batch of Ockels later this week. There is more: our expectation is that we have another small batch with Ockel Sirius A Pro’s available next week as well! More details about those units will be shared in the next update. It has taken a while to prepare all aspects necessary for this huge step for Ockel, so we’re proud to tell you that the Ockel Sirius B Black Cherry is now available on Amazon Japan! 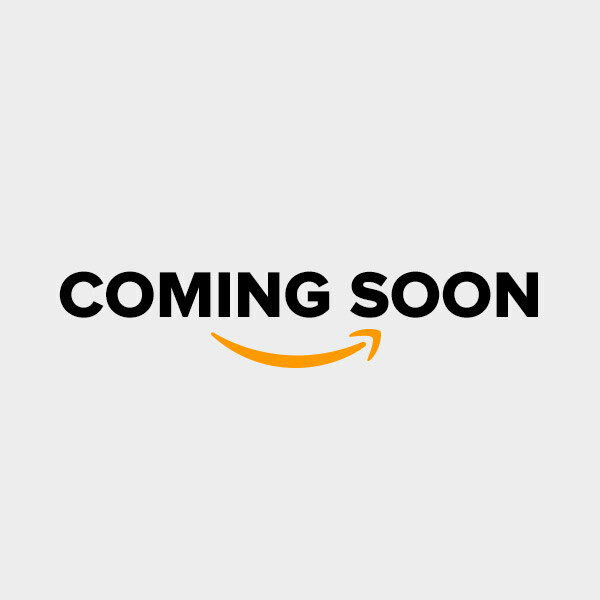 As you all know, Japan is one of the biggest markets for Ockel devices and we can’t wait to step into this market with the Ockel Sirius B Black Cherry in cooperation with Amazon Japan. As mentioned in our previous update, we’re able to ship plenty of orders to backers all around the globe waiting for their Ockel Sirius A Pro’s. The airfreight is expected to arrive today at Amsterdam Schiphol Airport, which means that we’ll receive the Ockels in our European warehouse tomorrow. We will start with the fulfillment of all orders tomorrow afternoon! As with every other Ockel order, we will be using DHL Express to ship the orders with. DHL guarantees a shipping window of less than four business days, world-wide. Stay tuned for the track & trace details you’ll receive in your e-mail boxes! Last week we worked hard to finalize additional Ockel Sirius A Pro’s and this process will continue this week. A small additional batch with Ockels is expected to be ready for fulfillment next week. 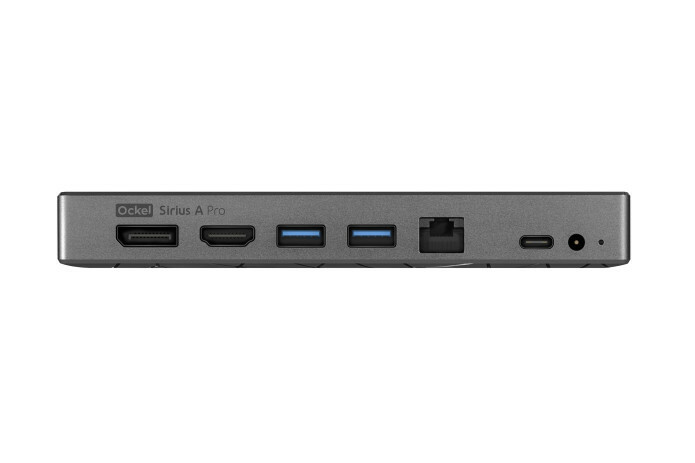 Good news for some of the backers who won’t receive their Ockel Sirius A Pro this week. However, we won’t be able to fulfill all orders with the current amount of ready & ‘almost ready’ Ockel devices. For those who won’t receive their Ockel in the coming week or next week the following production update applies. In our previous update we mentioned that we needed additional time to discuss production details with our technical partners. In the past week we have had many conference calls with our technical partners, as well as with our component suppliers. A couple weeks back we mentioned that we were in the middle of the QC (Quality Control) process. During the QC-test we encountered a high defect ratio of the PCB’s (70-80%). We used last week to find the root of the problems causing the high defect ratio. 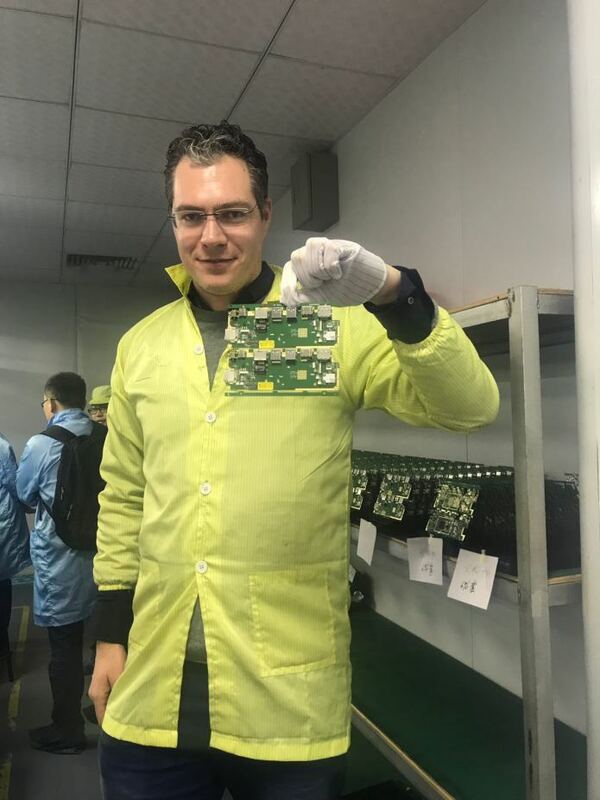 We found out that the 8-layered PCB had suffered from oxidation in the production facility. 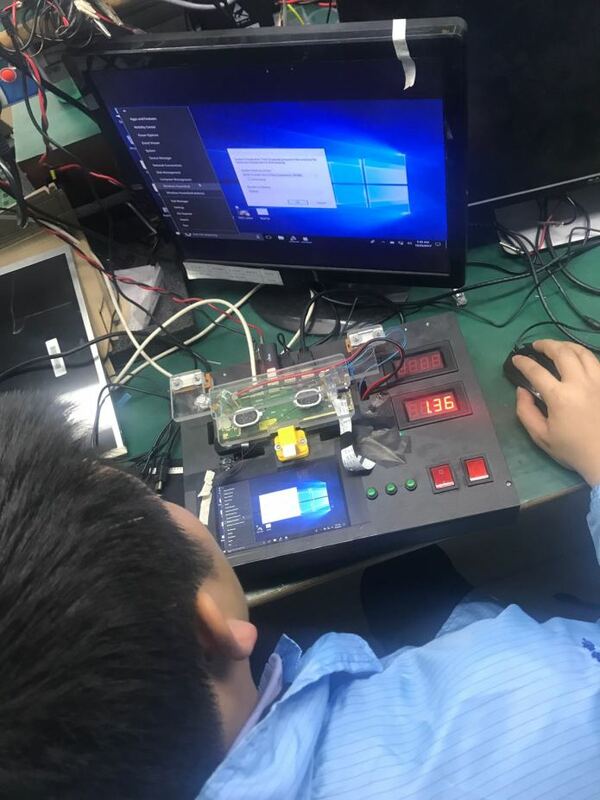 The PCB supplier worked around the clock trying to ‘repair’ the PCB’s, but after a couple of days between hope and fear we were updated with the news that the PCBs were not repairable. This for sure is a major set-back for us as a team, as we were real close to the finalization of the production of this batch with Ockels. After many discussions with our technical partners we decided to switch from PCB supplier in order to guarantee quality and a fast delivery window. 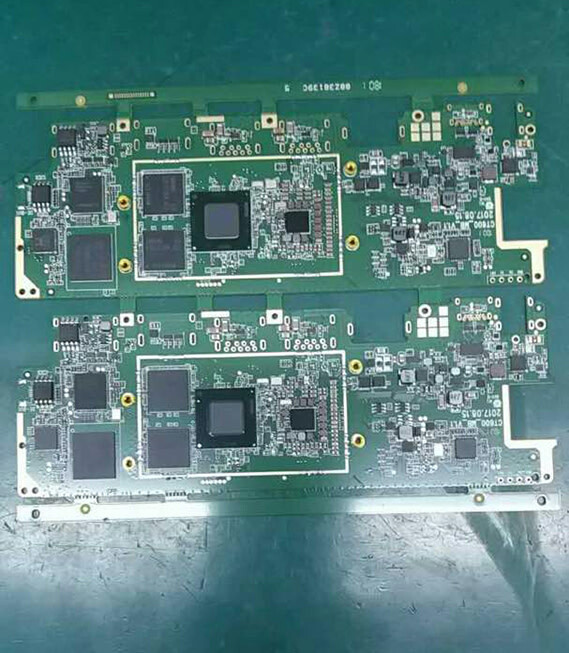 We have found two new suppliers for the 8-layered PCB of the Ockel Sirius A. Both suppliers are doing all they can to produce the PCBs as quickly as possible for us without handing in on the overall product quality. We chose for two suppliers this time to minimize the chances of unacceptable build/component quality as well as unexpected delays. Here at Ockel we always aim to turn ‘bad news’ into ‘good news’ eventually. That’s why we decided to implement a few improvements to the PCB for this unexpected ‘new’ PCB production run. 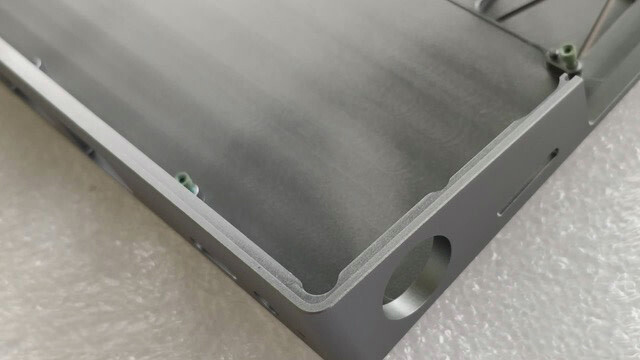 Normally this would cause a major delay to any production, however this time it won’t affect the leadtime negatively as we have to wait for the new PCB production anyway. The improvements of the PCB are mostly unnoticeable for the average Ockel Sirius A user, but will result in a more stable device overall. The expected leadtime of the new PCB production is set to 30 days from today. As soon as we have our hands on the first PCB’s we will extensively test the components. After the component tests we will start-off with a trial production and test the fully assembled Ockel Sirius A’s extensively again. As far as our expectations go for the moment, we are facing a delay of about 4-6 weeks from now. We are fully aware of the fact that some people have been waiting for several months right now and we are truly sorry the production delay. 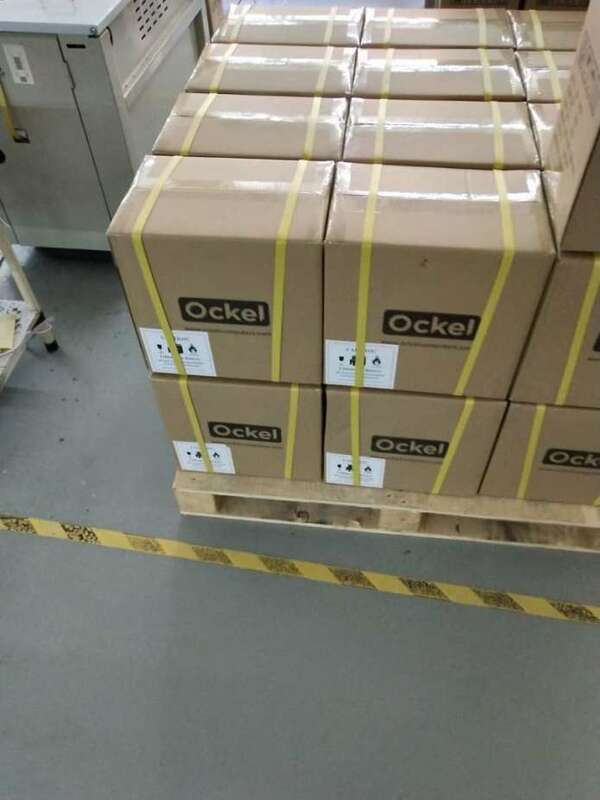 The entire Ockel team is doing all they can to fulfill all existing orders as quickly as possible without handing in on the quality of our product. 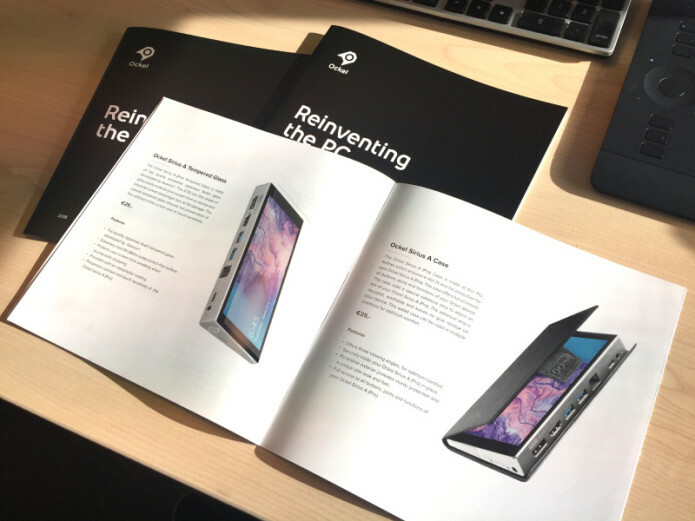 Since the day we started this campaign we knew it wouldn’t be an easy job to design, create and produce the most versatile Pocket PC ever. We are very proud of the successes yet to date. Including the fact that thousands of Ockel Sirius A users all around the globe are satisfied and using the Ockel Sirius A in their day-to-day routines. On top of that the Ockel Sirius A was granted with several awards, including the Red Dot and GIO award last year. 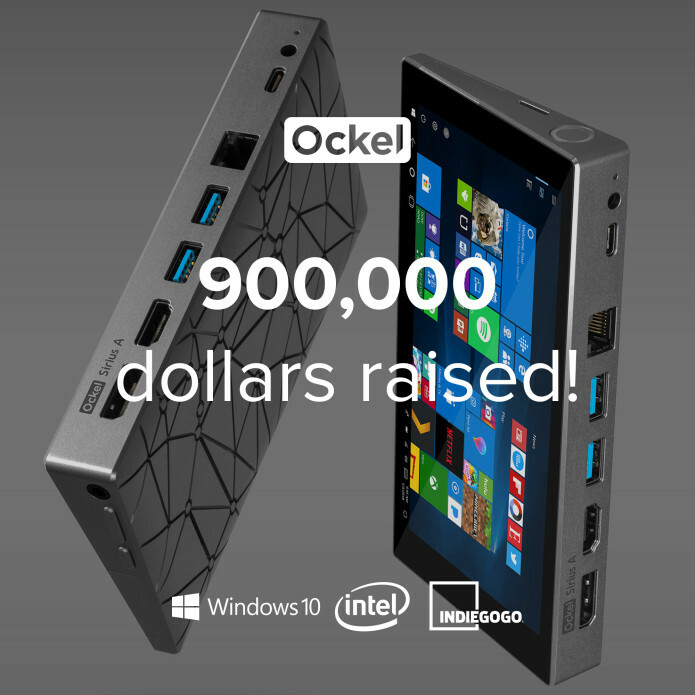 You as a backer are an ambassador of Ockel, without you we wouldn’t even exists. You are part of the success, we believe you are even part of the Ockel team and we can’t thank you enough for your trust and patience. Our CEO Tim and Product Engineer Jan Paul are on their way to our technical partners and production facility overseas. They’ll make sure that everything is going according to plan and will have several meetings with all parties involved with the production of the Ockel Sirius A and Sirius A Pro. They will keep a close eye on the production of the PCB’s while they are there. Their findings will be shared during our weekly update, here on Indiegogo. It’s time for the weekly update. This week we’ll update you about the current production status, our trip to Germany for the Red Dot Design Awards ceremony and the Computable Awards. Good news: production is going full force this week, which means that the rest of the new batch will be ready for Quality Control shortly. As each and every Sirius A is fully checked, this takes a bit of time, but we’re still on schedule and expect to start shipping by the end of the week. Back in April we already told you that we’ve won a Red Dot Design Award for the Sirius A. On July 9th, the official ceremony took place, and so our CEO Tim, product engineer Jan-Paul and designer Frank were off to Essen, Germany. It was a fantastic ceremony, and a great honour to be there. 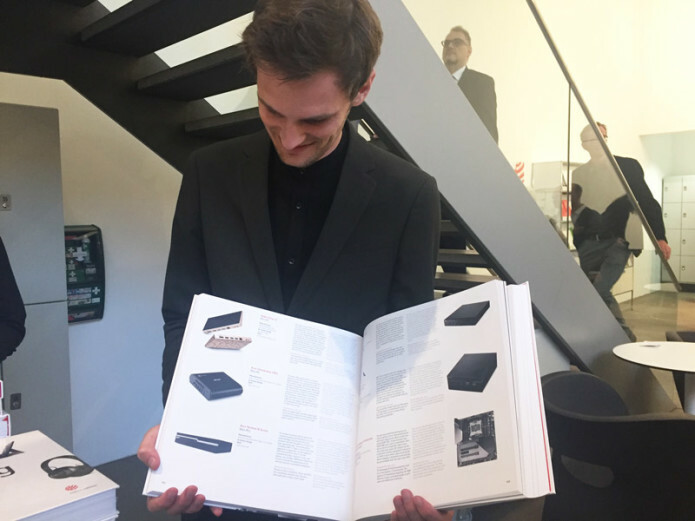 If you happen to be in the neighbourhood of Essen, the Sirius A and all the other Product Design 2018 winners are displayed in a special exhibition at the Red Dot Design Museum! Time for an all new update this week. Today we update you about the Start-up of the year award nomination, the powerbar shipments and we’ll share the latest production update. Please allow 2-3 weeks for the powerbar to arrive. There won’t be an e-mail with a tracking code. In case you have any questions, feel free to reach out to us via: support@ockelcomputers.com. We are still awaiting the production of the cases for the next round of Ockel Sirius A’s. In the meantime we processed the adjustments to the packaging and other small aspects for the next round. Currently we are aiming on mid-July for the next round with Ockels to be shipped out. As far as we can tell you right now, everything is going according to plan to reach our deadlines. If anything changes in the meantime, we’ll obviously let you know in one of our weekly updates. Time for an all new update. This week we’ll update you about the Computable Awards, the production status, the Target Garage listing and introduce you to a new Ockeler! Remember we told you about the pitch round a couple of weeks ago? Together with nineteen other companies we’ve got the chance to pitch our brand & company story in front of a well experienced and respected jury, which will appoint ten nominees for the finals. 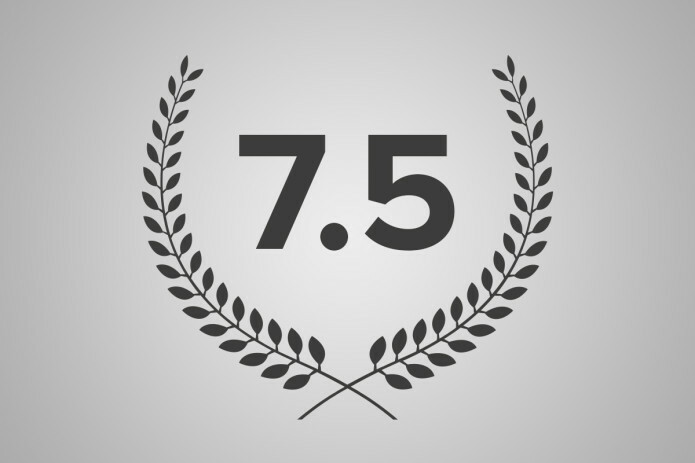 Today we are happy to share the great news with all of you: We are part of the top 10 that made it to the final! Hooray! In order to win the precious ‘’Start-up of the year 2018’’ award we will need your help! Next week the voting rounds opens. Obviously, it would be fantastic if all of you decide to vote for us. 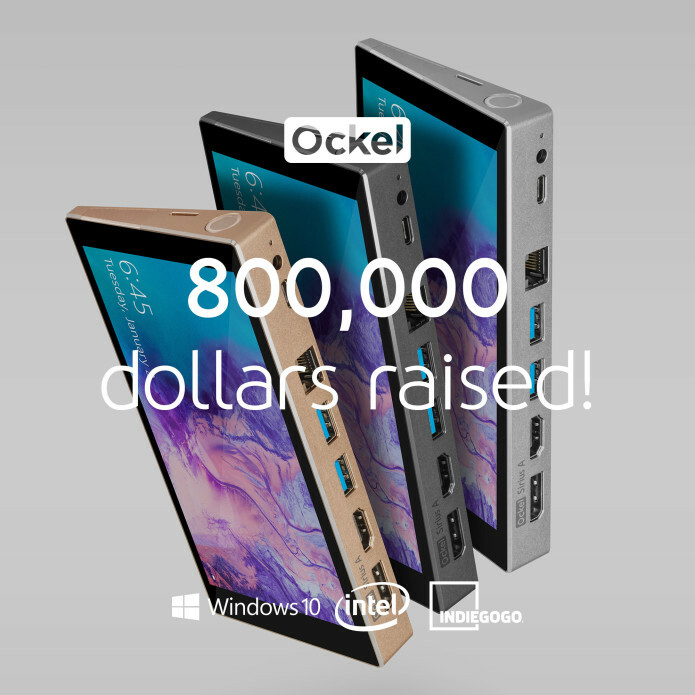 You helped us to create the Ockel Computers company in the first place and now, you’ll be able to help us reach this amazing milestone as well! More information on how to vote will be shared next week. Stay tuned. As mentioned last week, we are still awaiting the production of the cases for the next round of Ockel Sirius A’s. In the meantime we are working on slight adjustments for the packaging and manuals included with every Ockel Sirius A. As soon as we have new information to share with you, we definitely do so in one of our weekly Indiegogo updates. More good news: After weeks of preparations, our Ockel Sirius A is finally being showcased in the Target Openhouse Garage store & online! In the past months new talent joined the Ockel team. In the upcoming updates we’ll introduce you to the amazing new Ockelers. Today I am happy to introduce you to Steven! Steven joined us as an Intern last year. At that time we briefly introduced you to him as well. Last year he finished his study and today, Steven is our upcoming Online Marketing Specialist. Search Engine Advertising, SEO, A/B tests and much more. You name it, he does it. Time for an all new update. This week we’ll update you about the BCC Experience days, the Ockel Sirius A batch 3 production, Switch Mode and our online store. And, for the third time in a row we’re happy to introduce you to a new Ockeler! One of our major retailers in the Netherlands is BCC. Last week we had the chance to train the BCC retail staff. During the two-day event we told the store staff all about the Ockel story, including our crowdfunding journey and our passion for everything related to ‘space’. Obviously all technical product details have been shared as well! We had a blast and can’t wait to see how our new ambassadors will extend our customer base in the upcoming years. 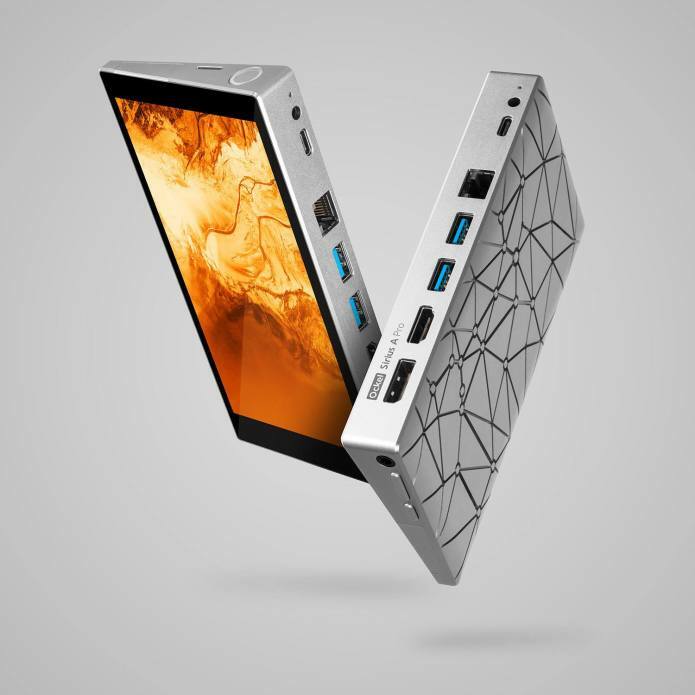 Currently we are awaiting the production of the Ockel Sirius A cases. Due to the CNC quality requirements we set, this is a difficult process, which is taking longer than expected. All units will be CNC’ed, just like our first two Ockel batches. Unfortunately we cannot make it to our ‘end-of-June’ deadline and we are currently aiming for mid-July at the earliest. Obviousy, we will keep you in the loop of the production status every Monday, here on Indiegogo. Many of you mentioned the lack of the Switch Mode in the latest backer survey. We are aware of the fact that many backers are really looking forward to this feature. We wanted to let you know that we’re doing all we can to make this happen as quickly as possible. As mentioned earlier we do have a BETA version up and running. However, to make this work for you we need a little more assistance from our technical partners Intel and Microsoft. In a joint-venture with Intel & Microsoft we’re doing all we can to prevent unstable performances even when Microsoft updates it’s Windows version. More about the Switch Mode will be shared later. As we mentioned in one of our previous updates we have launched our own webstore! Last week we finally added several of the most requested payment options for our community overseas. The Ockel webstore now supports the following new payment methods: Alipay, WeChat Pay and Multibanco. In the past months new talent joined the Ockel team. In the upcoming updates we’ll introduce you to the amazing new Ockelers. Today I am happy to introduce you to Hiromi! One of our grow markets is Japan and Hiromi is our Japanese marketing champion! She’s in charge of the Japanese (online)marketing. One of her first major projects was to translate the Ockel website and webstore. Day-to-day she’s optimizing our online content for the Japanese audience. She is currently studying the Dutch language, which she never thought would be so difficult to learn. In the past Hiromi has traveled all around the globe as a flight attendant for ANA and KLM. All-in-all, Hiromi is a very welcomed addition to our team! Time for an all new update. This week we’re happy to announce what we have been working on for the last weeks/months. As well as the Pitch Battles which took place last week and the upcoming backer survey. 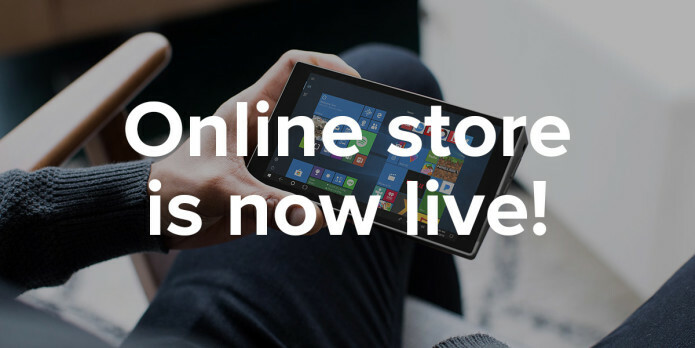 The Ockel online store is live! The whole team worked hard to make this happen. After months of preparation, testing tweaking and designing, we finally launched our online store today! As of today, you will be able to order any Ockel product through our own channel. Obviously, we will be using DHL Express for all PC-hardware orders. And as requested by many, you’re now able to order (additional) accessories directly from our store! Take a look yourself and visit our webstore via this link. 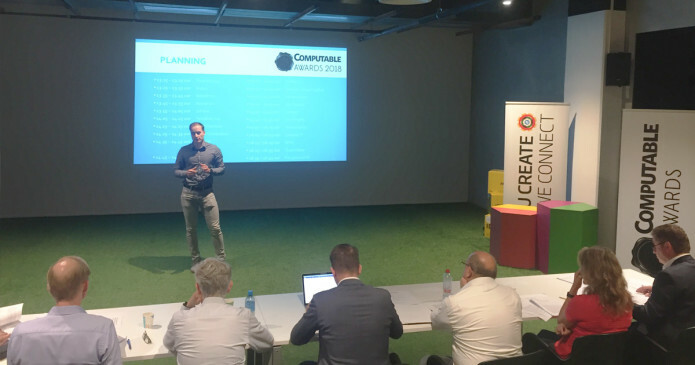 Last week I was honored to pitch for Ockel Computers in Utrecht, here in the Netherlands. Together with nineteen other companies we’ve got the chance to pitch our brand & company story in front of a well experienced and respected jury, which will appoint ten nominees for the finals. Obviously we hope to make it to the top-10 and if we do, we’ll need your help to become the winner! More about how you can help, later. In one of the upcoming updates we will be publishing a backer survey ‘3.0’. With this survey we would like to hear more about your first Ockel Sirius A experiences and use cases. Your feedback and input is well appreciated for upcoming projects and products. Stay tuned for more information about this survey. We’re still facing some challenges before we can actually start shipping. 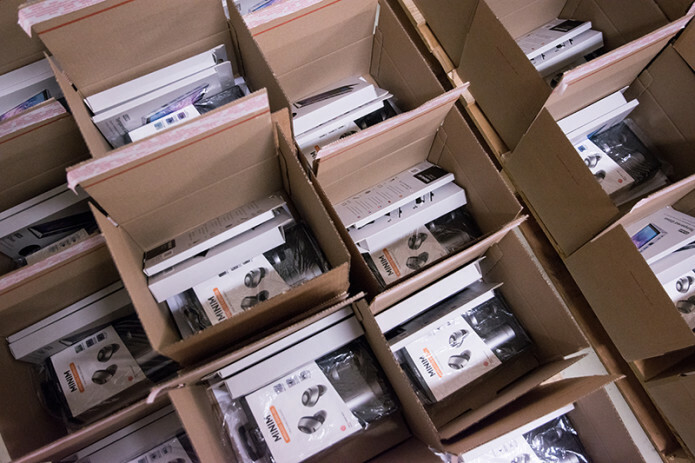 Due to the shipping restrictions on batteries, all of our additional Powerbar Pro 9000 shipments are affected. 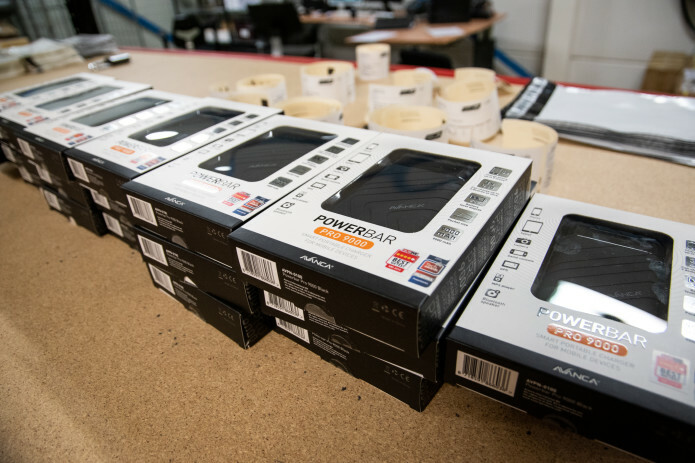 We are working around the clock to find carriers capable of shipping the powerbars to you. More about this later. Time for an all new update. Last week we didn’t update you due to the National holiday we celebrated here in the Netherlands. This week we’re back with fresh news! In case you want to learn more about his review, follow this link to find the Youtube videos! As some of you may already know, a fellow group of backers created an active Google+ Community. Although this community is not being moderated by us, we do actually read all posts. In case you want to meet and share your usecases, tips & tricks and/or thoughts on the Sirius A or Sirius A Pro, feel free to join the conversation on the Ockel Sirius A Google+ community. 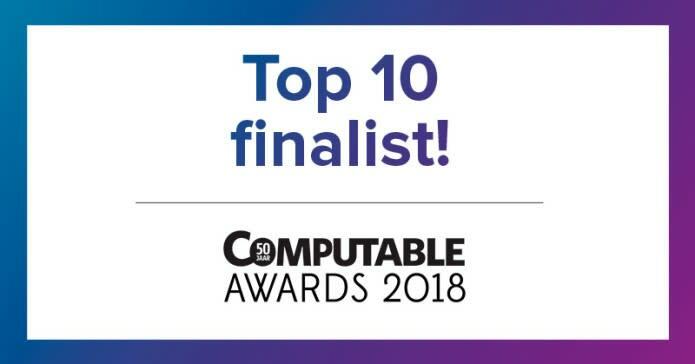 We have the chance to become ‘Start-up of the year’ as we’re invited to be part of the Computable Awards 2018. The pitch contest amongst the top-20 start-ups in the Netherlands will take place this Friday. Obviously, we hope to become start-up of the year and we require your help to make this happen. As soon as we have more information available about how you can help, you’ll be the first to know! For all backers who recently joined our campaign and opted-in for a Ockel Sirius A Pro (in any color) please be aware of the extended shipping timeframe. We are currently anticipating on three to four weeks from now before we can ship out your order. In case you have any questions about your order, feel free to reach out to us via: support@ockelcomputers.com. Please also make sure to fill-out the backer survey after you’ve pledged for your perk here on Indiegogo. You can find the Backer Survey here. 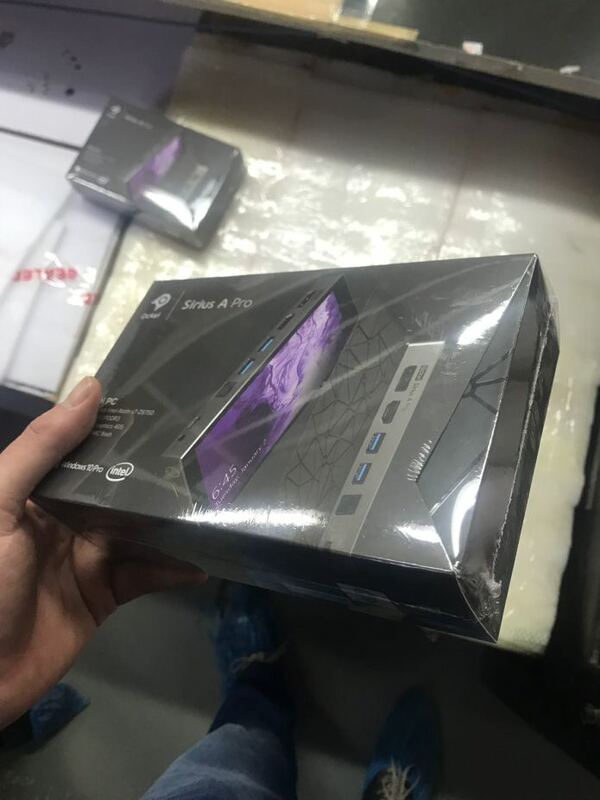 We anticipated on shipping out the power banks in an earlier stage. Due to several logistic reasons we were unable to. Luckily for all backers awaiting their Powerbar Pro 9000 we have good news today. We’re wrapping up the final stages before we can start shipping, meaning the shipping of these goods will kick-off later this week. This weeks’ update is a relatively short one. 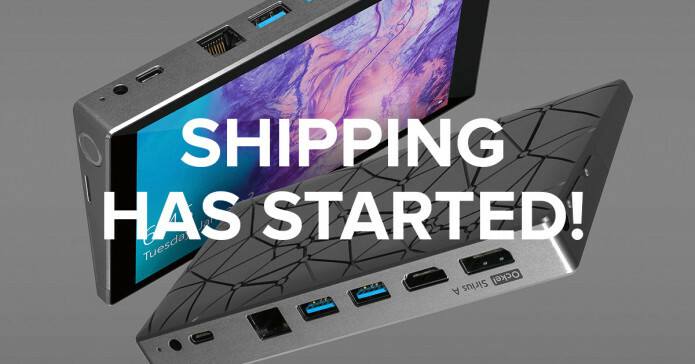 We will brief you about the shipping window for the backers who not yet received their Ockel, as well as the shipping window for the Powerbar Pro 9000’s. Great news, both the European backers as the ‘Rest of World’ backers with their order status set to: ‘’locked’’ will receive their Ockel Sirius A or Ockel Sirius A Pro this week! We aim to start fulfilling these orders on Wednesday. Stay tuned for the tracking information and make sure to double check your spam-folder as well. Orders with the ‘placed’ status will not yet be fulfilled. We’ll update you as soon as we start fulfilling these orders in one of our updates, here on Indiegogo. 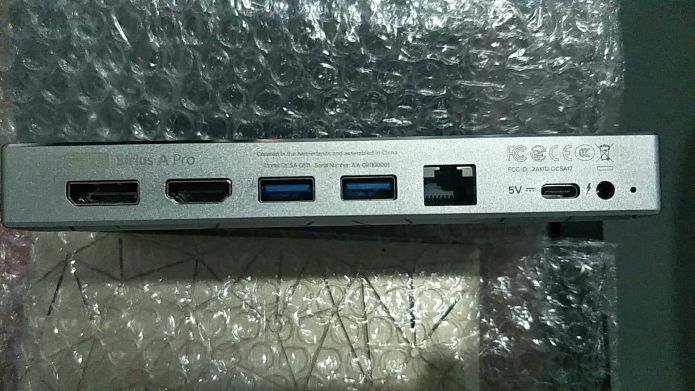 As we mentioned in several of our previous updates, the Avanca Powerbar Pro 9000’s will be shipped out in a later stage. Our expectation is that the powerbars will be shipped out next week. Shortly after the second batch of orders have been fulfilled! 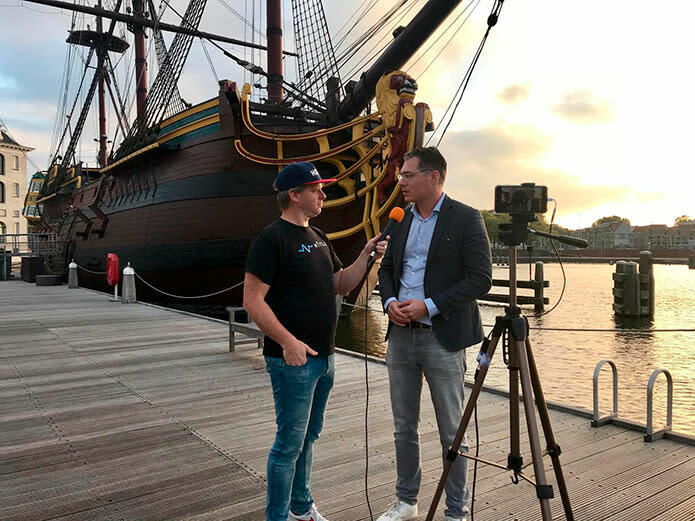 The Next Web decided to interview our CEO Tim Haaksma and wrote about us again, just before we started with the delivery phase. The full article can be read here and it’s for sure worth the 5 minutes it takes to read! Liao, our Technical Developer is working on something very exciting for everyone who is interested in Ockel and our products. We can’t wait to tell you more.. Stay tuned for more! Time for an all new update this week. In this update we will brief you on the Ockel Experience Day which was held last week, another award nomination we received and the shipment status for Batch #2 backers. Last week we’ve organized an ‘Experience Day’ in collaboration with our PR-partner Reshift, here in the Netherlands. 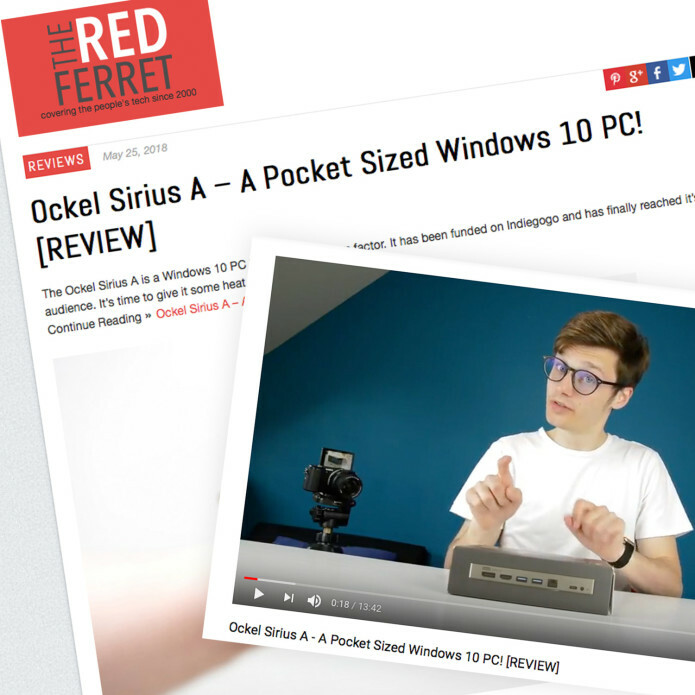 A total of five Ockel enthusiasts were invited to unbox and test the Ockel Sirius A. We have had an amazing day and the testers will all write an article about their Ockel experiences. We can’t wait to read them! Great news for all backers who are part of the second batch. Your Indiegogo order status has been changed to ‘Locked’. This means that we are preparing your order for shipment. Currently we are able to ship out all orders to the backers part of the second shipping batch. The packaging process in our production facility has started today. We expect to be able to ship out the Batch #2 Ockel Sirius A and Sirius A Pro’s next week. 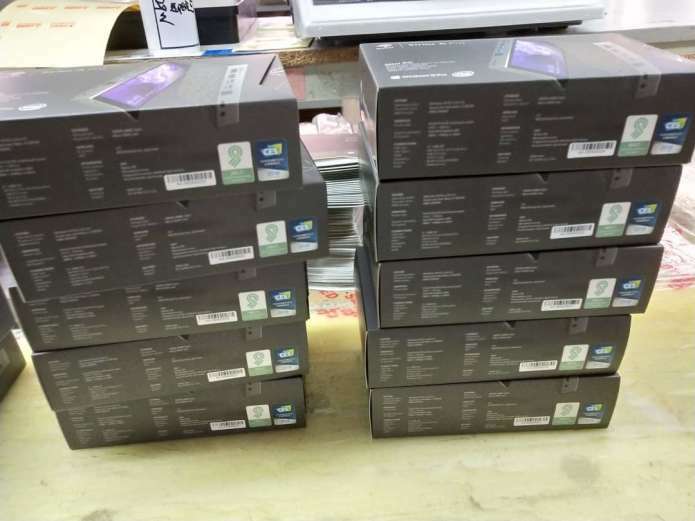 In the meantime we are also preparing the shipments of the Powerbar Pro 9000’s, which will most likely be shipped out in about 2-3 weeks as well. Please note that the order status of all Batch #1 backers has been changed to ‘Fulfilled’. Last year we won the GIO, CES and Red Dot Design awards. Obviously, the yet-to-be-won award nominations are still very welcomed! 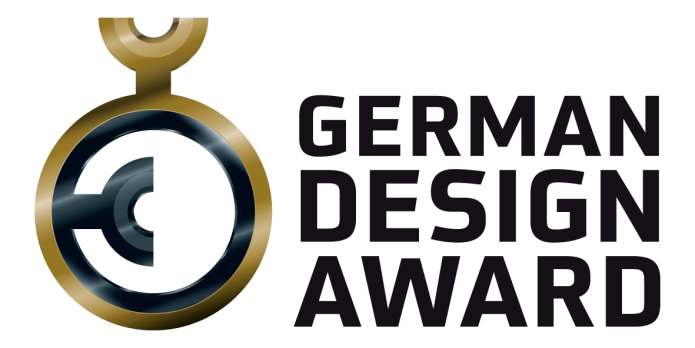 This week we are happy to announce that we are nominated for the German Design Award 2019. The Ockel Sirius A is nominated in the category ‘’Excellent Product Design’’. The attention of the jury was attracted by the extraordinary design of the Ockel Sirius A. Time for an all new update! We have great news for the European backers this week and will give you a little more insights in the upcoming shipping plans. Luckily we had some spare time to relax last weekend as well. Last Friday we celebrated Kingsday, or ‘Koningsdag’ as we call it in the Netherlands. During this National holiday, the entire country dresses in orange to celebrate the birthday of our king Willem-Alexander. We hope His Royal Highness had a wonderful birthday! Due to the National holiday we weren’t able to answer all support tickets in-time. Many of the outstanding support requests have been answered today. Our support team geniuses are doing all they can to work their way up in the e-mail box. Fantastic news for the European backers. All backers who are still awaiting their Ockel Sirius A Pro Venus Gold or Moon Silver shipments will receive their tracking code tomorrow! Due to the National holiday last Friday we had to move the packaging process over-the-weekend. Today we started the preparation and packaging of the remaining European orders and expect to ship them out tomorrow. An automatic DHL tracking notification e-mail will be send to the e-mail address used to order the Ockel Sirius A with. Please make sure to check your spam folder as well. The shipment shouldn’t take more than 3-4 business days to arrive. As we mentioned in several of our previous updates, the Avanca Powerbar Pro 9000’s will be shipped out in a later stage. 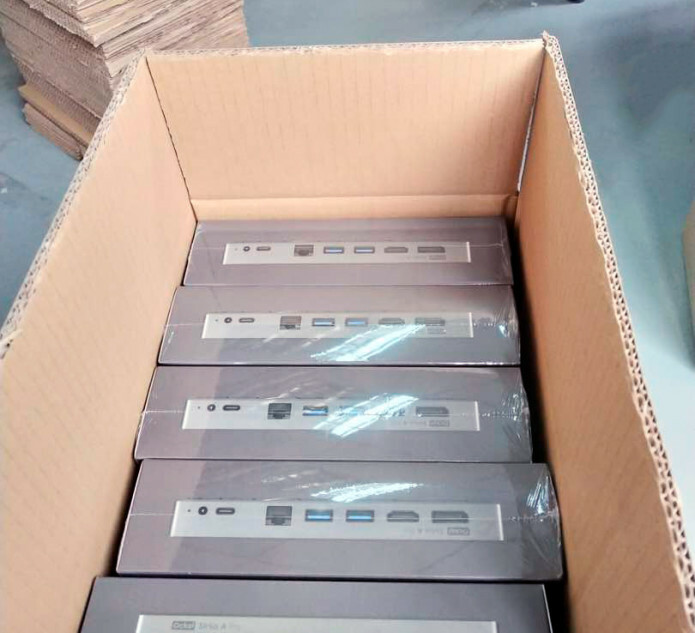 Our expectation is that the powerbars will be shipped as soon as we start with the fulfillment of the second batch of Ockel Sirius A machines. 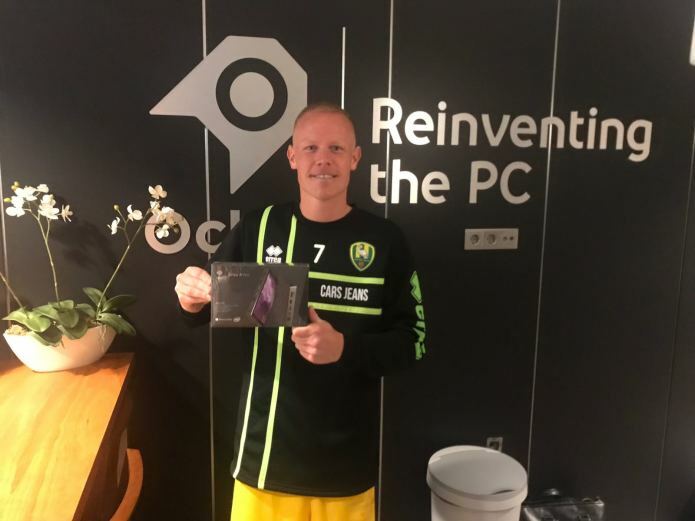 Did you know our Ockel HQ is actually located inside the football stadium of ADO Den Haag? Last weekend the last home match of the season took place in the ADO Den Haag stadium and a small part of the Ockel team had the chance to meet & greet with the famous Dutch football player Tom Beugelsdijk. Tom was blown away by our company story and our devices. In the next few weeks he will have the chance to play around with a Ockel Sirius A Pro. Obviously, he was more than happy to accept that offer! Today we have finalized and released the latest Ockel Sirius A & Ockel Sirius A Pro BIOS update (2018.04) on our website. We don’t recommend BIOS updates for Ockel devices that do not need it. Review the recommendations on our website before updating your BIOS. A video tutorial and PDF-manual have been published along with the BIOS file package. Download the latest BIOS version for your Ockel Sirius A or Ockel Sirius A Pro here. That’s it for now. We will be back on Monday with an all new update! Time for an all new update. Great news for many backers who will receive their Ockel Sirius A Pro Moon Silver configuration this week. The shipping is steadily progressing. This week we’ll also brief you about the new backers who joined our campaign, the BIOS-update which is almost ready for the big release and the shipping plan for the remaining Ockel Sirius A Pro configurations. Last week our campaign was mentioned in one of the weekly Indiegogo newsletters. This has led to a tremendous amount of new (and returning) visitors on our campaign page and luckily many new backers as well! To all who joined our campaign last week: Welcome! Thanks for the support & your contribution. You’ve contributed to a company with a vision about why and how to do things differently and the product you’ll receive is a perfect example of this mission statement. Together we are reinventing the PC! We will continue to keep you updated along the way every Monday! Last week we’ve published the Automatic Driver Update Tool, which has been useful for many backers. Today we slightly adjusted the driver set to avoid the ‘’invalid file path’’ error notification. On the BIOS-side of things we’re making great progress. Stay tuned for the BIOS update. This update will include an all new Battery Management Driver, which includes fixes for the battery drains, Wifi drops, RJ-45 connection issues and many more fixes to improve the overall stability of the Ockel Sirius A and Sirius A Pro. Currently we are working on a video tutorial with instructions on how to install the BIOS-update. We’d like to keep things as simple as possible. Our expectation is that we will be able to release the BIOS-update, including the video installation tutorial, via our Online Support Center on or before Wednesday. Stay tuned! Last weekend we’ve started with the fulfillment of the remaining Ockel Sirius A Pro Moon Silver configurations. This process has been continued today. We will send you the tracking code confirmation e-mails as soon as possible. Please make sure to check your spam folder as well! The shipment shouldn’t take more than 3-4 business days to arrive. The European backers will receive their tracking code as soon as their Ockel Sirius A is shipped out. We expect to be able to start shipping your Ockels by the end of the week. Time for a short, second update this week. As we promised, we will update you with the latest production status today. We have great news for most of the backers that are still awaiting their shipment. Tomorrow we’ll start with the first shipments of the Ockel Sirius A Pro Moon Silver configurations with destinations outside of Europe. We have worked hard to be able to ship out the first portion of Ockel Sirius A Pro Moon Silver configurations as quickly as possible. This weekend we will ship a little over 50% of the outstanding Ockel Sirius A Pro Moon Silver ‘’Rest of World’’ orders. We expect to be able to ship the other half next weekend, as they are still in our production facility for optimization purposes. As soon as your order has been shipped we will send you the tracking code by e-mail. The first backers will receive their tracking code on Monday. We have great news for our European backers as well! The airfreight is ready for departure from our production facility. We expect to receive the airfreight in the middle of next week. All of the outstanding Ockel Sirius A Pro Venus Gold orders will be shipped out as soon as the airfreight arrives in the middle of next week. In addition to the Venus Gold configuration we will also ship 50% of the outstanding European Ockel Sirius A Pro Moon Silver orders. We expect to ship the other half a week later. Today we released a new automatic driver installation tool on our Online Support Center. With this tool, you are able to install all drivers automatically instead of a manual installation. We have included a manual for the installation within the .zip file you can find on our website. The beloved BIOS update is taking a little longer than expected. In the last 1.5 week we have made great progression on fixes for software related instabilities. Early next week we will be able to release an all new Battery Management Driver, which includes fixes for the battery drains and overall stability. Some users noticed an option in the File Explorer to deactivate & eject the Wifi chipset. With the upcoming software update we have fixed this as well. The Wifi drops, which have been reported by several users have also been fixed. The fixes are part of a BIOS-update. Instructions on how to install this update will obviously be included. As soon as all the required documentation is finalized we’ll publish the update via our Online Support Center. For those who have support inquiries or device related questions, we’d advice you to e-mail our support team at: support@ockelcomputers.com. We’re doing all we can to respond within 48 business hours. Time for an all new update. Last week we have been working around the clock building-up new driver packs and battery management software tweaks. In today’s update we’ll brief you on the current status of the driver development and production status of the remaining configurations. Last week we have made great progression on fixes for software related instabilities. This week we will be able to release an all new Battery Management Driver, which includes fixes for the battery drains and overall stability. The fixes are part of a BIOS-update. Instructions on how to install this update will obviously be included. We expect to finalize the BIOS-update tomorrow. As soon as all the required documentation is finalized we’ll publish the update via our Online Support Center. We have also been working on the finalization of the ‘automatic’ driver installation tool. We will provide this tool later this week. With this tool, you are able to install all drivers automatically instead of a manual installation. In the last weeks we have been promising deadlines we unfortunately couldn’t keep up with. We are truly sorry for this inconvenience. In the last week we’ve received some e-mails of backers expressing their displeasure about the delay. We understand your frustration and we dislike this situation as much as you do. The reason for the delay in shipments is pretty straight forward: We are trying to embed the improvements on these last units. The entire Ockel team is literally working around the clock to organize a lot of things. That might not always be noticeable, but trust us.. we’re doing all we can to ship out the Ockel Sirius A Pro Moon Silver and a small portion of the Venus Gold configurations as quickly as possible. Currently we are embedding the latest BIOS-update on the machines that are almost ready for departure. Because of the fact that all units had been pre-loaded with a BIOS and Windows configuration last week, we need to re-install the BIOS and Windows configuration for each unit. This process takes about an hour extra per unit. As some of you suggested we will publish a second update this week with the latest status of the production and hopefully great news regarding the shipping timeframe on Friday the 20th of April. Please stay tuned, we never did and never will let you down. 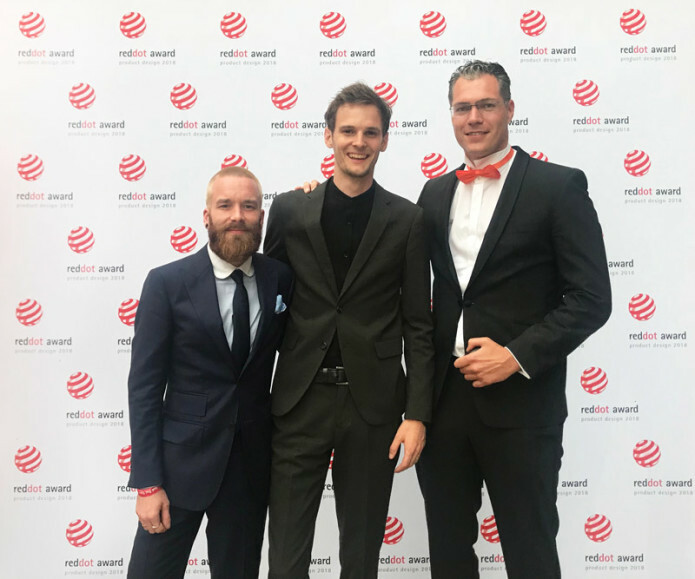 Last week we were finally allowed to spread the word on the amazing news: The Ockel Sirius A has won the Red Dot Design Award 2018! The Red Dot award is one of the most prestigious awards to win for product designs. We’re very honored and thankful to have won this award, and we’ll keep working on more new and innovative products in the future. Let’s hope this is the first Red Dot of many more to come! Almost all Ockels are on their way! Time for yet another exciting update! Last week we’ve managed our way through the logistical challenges we faced. And with great results, as most of you received their tracking code and some of you even received their Ockel Sirius A or Ockel Sirius A Pro already! 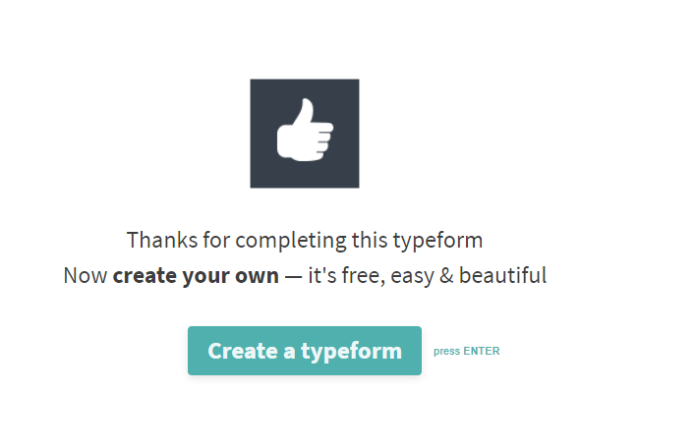 We are thrilled to read through all the amazing feedback we got from you! Our social accounts (Twitter, Facebook, Instagram) have seen a high traffic rate lately. Obviously, the comment section is full with enthusiastic backers. For us, it’s heartwarming to see & read all the positive feedback. Once again: Thanks for the support! It has been an amazing week! We have shipped thousands of Ockel Sirius A’s to countries all around the globe. Did you know this campaign has backers from 88 different countries? It has been a challenge, but we’re more than happy with the results. Most of the orders have been shipped with DHL. A small portion of the orders were shipped with different carriers. We decided to use different carriers in cases where we could win a significant amount of days in terms of delivery time. In case you haven’t yet received a tracking code. Please double check your e-mail inbox, including your spam-folder. Just a few hours ago we e-mailed the last batch of tracking codes to many of you. The good news is that we shipped out all Ockel Sirius A’s & Ockel Sirius A Pro’s to countries outside of EU. The only configuration that hasn’t yet been shipped is the Ockel Sirius A Pro – Moon Silver. The expectation is that we will ship out this configuration by the end of this week. We have good news for all of our European backers as well! The airfreight with has arrived on Schiphol Airport, here in the Netherlands. Our expectation is that the Ockel Sirius A & Sirius A Pro’s will arrive in our warehouse tomorrow. Our logistic team has prepared all they could in order to ship out the individual parcels as quickly as possible. This means that as soon as the Ockels arrive in our warehouse we’ll make sure to ship out all individual parcels on the same day. With an expected delivery time of 3-4 days many of the European backers will receive their Ockel Sirius A or Ockel Sirius A this week! Make sure to double check your e-mail box this week – including your spam folder – for the e-mail with tracking information. There are two configurations that need a little longer to reach your doorstep. The configuration that won’t be shipped this week is the Ockel Sirius A Pro – Moon Silver. A part of the Ockel Sirius A Pro Venus Gold will be fulfilled later as well. The expectation is that we will ship out these two configuration by the end of next week. Last in line during our production was the Ockel Sirius A Moon Silver. Due to this fact, we have placed this configuration last in line of our logistical process. Luckily the Ockel Sirius A Moon Silver passed the final QC’s last week and we’re expecting to have these units available for shipping later this week. The fulfillment will be handled according to the two schedules released in this update. It’s once again time for an all new update. 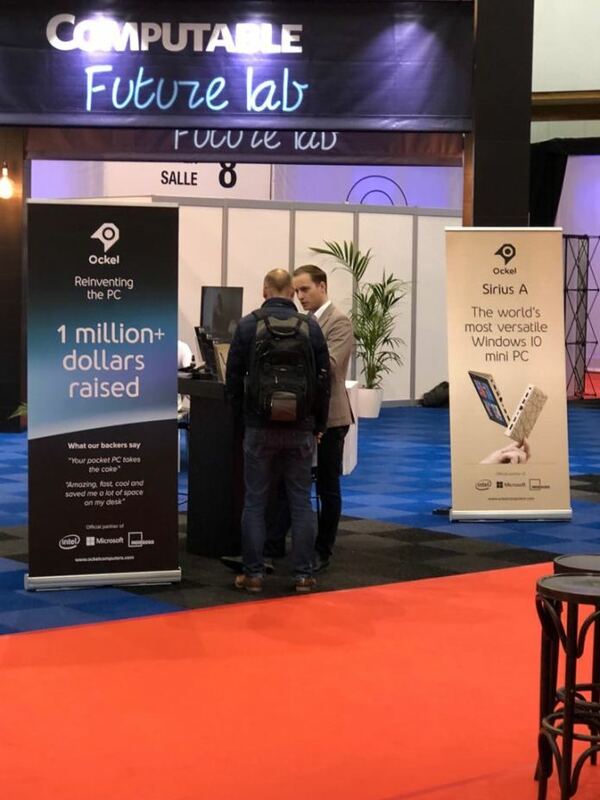 Today we will update you about the shipping progress, Ockel Sirius A registration process and obviously our presence at the Info Security event last week. Today, we are happy to announce that the first batch of Ockel Sirius A’s & Ockel Sirius A Pro’s have been packed and are on their way to the DHL facilities for departure. The first backers will receive their tracking code(s) this week. In the meantime we will continue with the rest of the shipments, as well as the airfreight of the European orders to our Dutch warehouse. Next week we’ll be back with more information about the remaining shipping stages. We aim to ship out as many Ockel Sirius A’s as possible during this week. Don’t forget to register your Ockel! For anyone who already owns a Ockel device, it should be familiar to read the following: We do not pre-install bloatware onto our machines. This means that the Ockel devices are completely free of any ‘free’ or ‘sponsored’ software applications, resulting in a high amount of remaining flashstorage and optimal performance out of the box. What we did add this time, is a custom ‘tile’ in the start menu of the Ockel Sirius A & Ockel Sirius A Pro. The tile redirects you to our ‘Registration’ page on our website. We recommend you to register your Ockel Sirius A or Ockel Sirius A Pro to receive more efficient support and warranty services, notifications on the latest firmware and software updates to get the most out of your device, and more. Registration is voluntary and failure to register will not diminish your limited warranty rights. 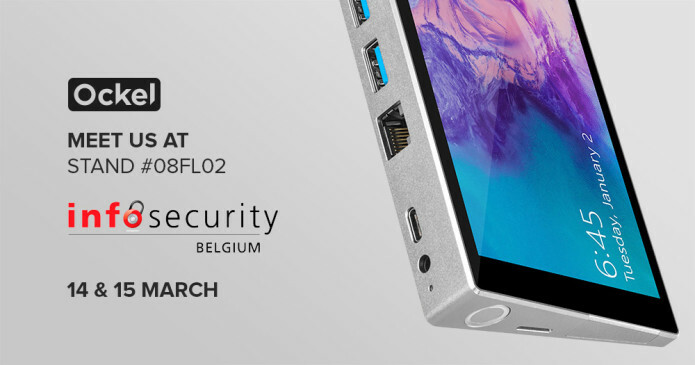 Last week we told you about our participation during the Info Security exhibition in Belgium. It were two successful days, with great potential for future partnerships. The interest in our products has been overwhelming and we were defenitely the ‘showstopper’ of the event! Today we have another exciting new update for you. We are happy to inform you about the progress we made last week. Chinese New Year is completely over and everyone is back in their offices! 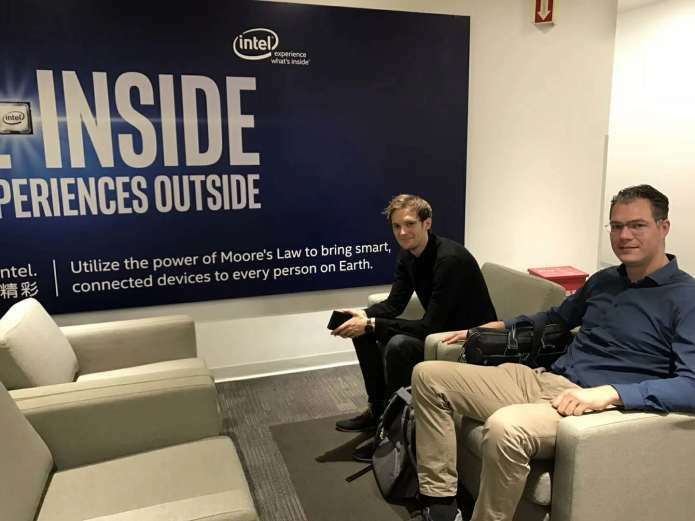 As we mentioned in our last update, we have had a meeting with Intel last week. Together with the expertise of Intel, we further investigated the issues we faced before Chinese New Year. We are very pleased that the efforts our engineering team put into the resolution of this issue, led to a positive outcome of the meeting! Intel re-confirmed that our PCB design was good. We found that the defected computers that were filtered in our QC process, were caused by a simple IC, that in the case of the rejected PC’s, had wrong tolerances, according to its specification. Luckily for us it is possible for us to re-work and repair these PCBA’s, by replacing these IC’s. With the tests we ran in the last couple of weeks and the knowledge we gained, we are now also certain that we can quickly filter out, all units that are affected by this issue. This means that 100% of the, to be shipped out computers, passed all our rigorous QC tests. We will focus on the re-work of the defected units later. The backers will get the units that passed our initial QC, with flying colors. The last step in our process now, is to have an additional and completely independent third party QC. The QC will be performed by the highly qualified and independent organization: SGS. We decided to perform a 100% QC test once more, to ensure the quality and reliability you want. While some brands might rely on the internal factory QC only, most will hire an independent QC according to AQL (Acceptance Quality Limit), meaning the QC will only consider a sample quality of the total production batch. While this is well above “normal” standard, we chose for an additional 100% QC test, to ensure every produced Ockel Sirius A or Ockel Sirius A Pro will have the highest level of quality. A lot of you commented, that despite the delays, you were happy that we kept emphasizing on high quality. We feel that we deliver to that promise, with this decision also. We have a lot of confidence in our manufacturing partner and their QC process. But we also have only one chance for a first impression. We want you to have a delightful experience, after all the waiting, this is what all the backers deserve! Besides that, we save ourselves a lot of headache and costs, in terms of after sales service. The number of times after sales support would need be required, simply will be at the lowest reasonably possible. We will start with the independent Quality Control from tomorrow. Our expectation is that we will finish the Quality Control this week. Immediately after we finish the Quality Control procedures, we will start with the last step, namely the cleaning and packaging process. If this is finished, we will start shipping the computers to all our backers. Our expectation is that we will be able to start with the first shipments next week. Orders placed from outside Europe will be fulfilled directly from our production facility. In parallel we will bulk ship both the produced Ockel Sirius A and Sirius A Pro’s to our warehouse in the Netherlands to fulfill the orders placed from backers living in Europe. As soon as we have a detailed shipping timeframe we’ll update you. Bottom-line, we found the cause & solutions for the issues we faced and are running on full force again. The shipment to all of our backers is nearby and we do not give in on quality standards. We can’t wait to start with the shipping process. Bear with us for the last few steps and soon enough we will get back to you with a shipping update! It’s Update Monday! We hope you enjoy reading the (relatively) short update this week. After last weeks’ update we received many e-mails and comments from backers with kind words of understanding. As we mentioned in our update, we do not want to hand in on the quality of a product before shipping the Ockel Sirius A and Sirius A Pro to the most loyal backers, world-wide. 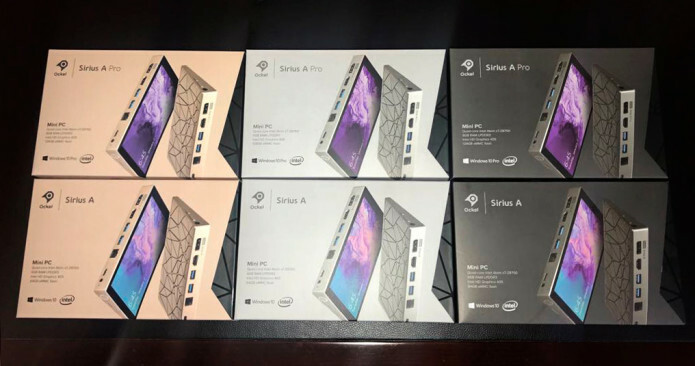 It’s heartwarming to read through the e-mails and we are doing all we can to ship out the Ockel Sirius A and Sirius A Pro as quickly as possible! In-between the production of the Ockel Sirius A and Sirius A Pro, we also finished the production of the Ockel Sirus A Case and Tempered Glass. 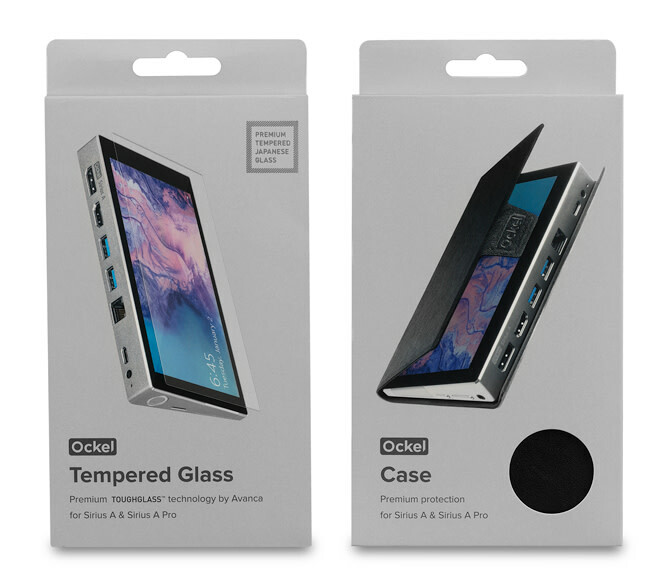 In case you forgot about this: Every Indiegogo backer will receive the Ockel Sirius A Tempered Glass as a freebie. We hope you love the accessories as much as we do! As we mentioned in our last update, there is not too much news to share these two weeks regarding the production progress, due to Chinese New Year. As soon as we have news to share, we’ll get back to you. Today we have an all new update for you with the focus on the latest production update, as well as the new perks which are available starting today. The new perks have been published today. We are officially closing our Indiegogo early bird offers and from now on we will only continue to offer the perks currently listed. Please be aware of the new shipping window as well. We have suffered a minor set-back last week regarding the production of the PCBs. As mentioned in our previous updates, the PCBs rolled-off the production line last week. Unfortunately, the high-quality standards and the complexity of the 8-layered PCB caused a high defect ratio. 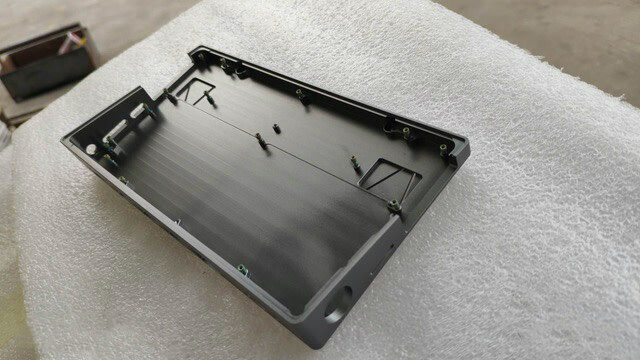 Therefore, a large percentage of the PCBs turned out not to pass our quality control. This is something that we did not expect from our supplier, as our trial production run in October showed no critical points nor any defects. The good news is that the percentage of perfectly functioning PCBs is sufficient to fulfill all Indiegogo orders with. These PCBs arrived in our SMT facility last week. 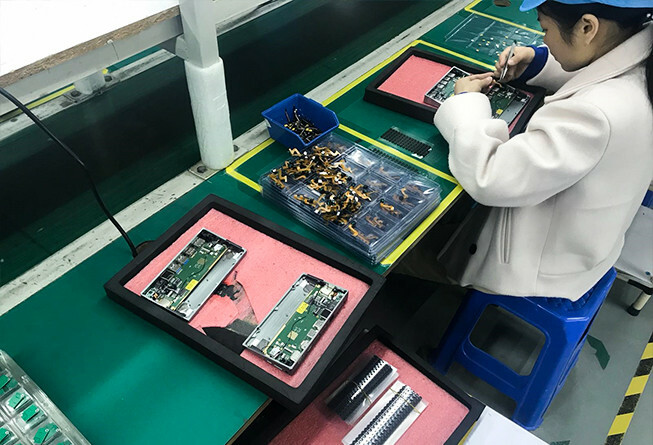 Because of the complexity of the PCB and the high defect ratio of our supplier, we decided to perform an additional trial SMT + assembly run in our own facility, which is currently well underway. The expectation is that the we’ll finish this process by the end of this week. With this additional run, we make sure the quality is guaranteed and all assembled PCBAs will pass our high-quality control checks. Because of the additional trial run we expect a few days delay and we will know the exact outcome this week. Our honest expectation is that this process might delay the start shipping with a maximum of 1 week. So effectively this means that we expect to start shipping before the 5th of February. We received many request from backers asking us for a confirmation of their Backer Survey results. Please note that if you have seen ‘thumbs up’ icon, your survey has been received in good order. Today we closed the Final Backer Survey. If your reply hasn’t been received, your order will not be included within the first batch of shipments. Please note that you are still able to use the Final Backer Survey link. However, your order won’t be fulfilled until we start shipping the second batch with Ockel Sirius A’s. Today we have an all new update for you. We will update you about our CES attendance, the last chance offer, the shipping & production status and of course, the final backer survey. 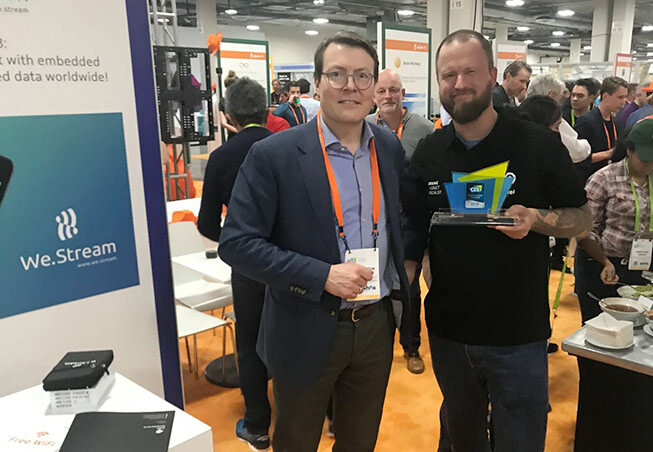 It was a great week in Las Vegas at the CES 2018, Tim and Douwe had a blast talking to everyone around. We have met great people, including backers, distributors, retailers and Ockel enthusiasts. 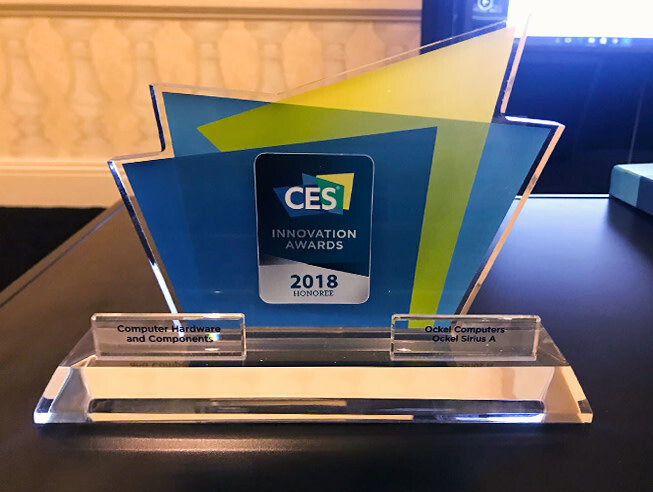 On top of that, Tim officially received the CES Innovation Award for the Ockel Sirius A! 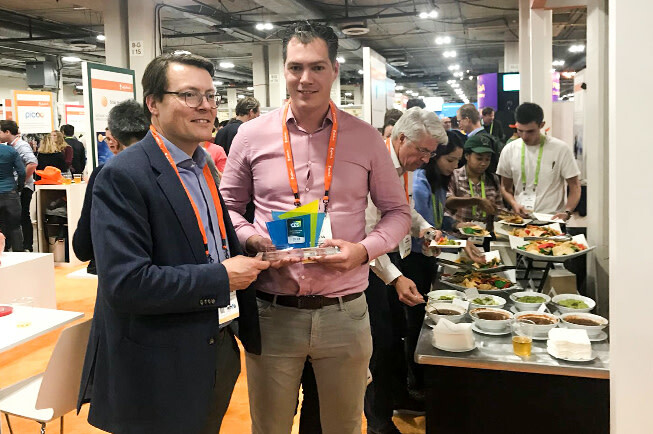 We even got the chance to exhibit on the Dutch start-up Pavilion, where the Royal Highness prins Constantijn der Nederlanden met with Tim and Douwe as well. Due to the high number of new backers joining our campaign in the last two weeks, we have decided to extend the final offer with one more week until Monday next week (22th of January). This will be your final chance to order the Ockel Sirius A or Ockel Sirius A Pro with an extraordinary discount. Great news, we are still on track and expect to start shipping in the last week of January! Last week we’ve received several questions from backers asking which carrier we will be using. We would like to inform you that we will be using DHL Express as our carrier. Please note that DHL Express uses partner carriers in regions where DHL Express has limited coverage. As soon as we begin shipping, an e-mail notification including a track & trace code will be sent. Please note that all orders placed until Friday (19th of January) will be processed during the first round of shipments. It’s once again time for our weekly update. As we published an update last Wednesday, there is not too much new news to share. Nevertheless, we will update you on the production progress, our CES attendance and the Backer Survey today. This week we’re happy to share a GIF of the many Ockel Sirius A casings we received in our production facility. Obviously, we can’t wait to start with the assembly phase. We used CNC-technology to ensure the best build and detail quality possible for all the casings and we are more than happy with the final results. This week is your last chance! As we are approaching the end of the Ockel Sirius A campaign here on Indiegogo, the freebies which are now being included will be removed as well. 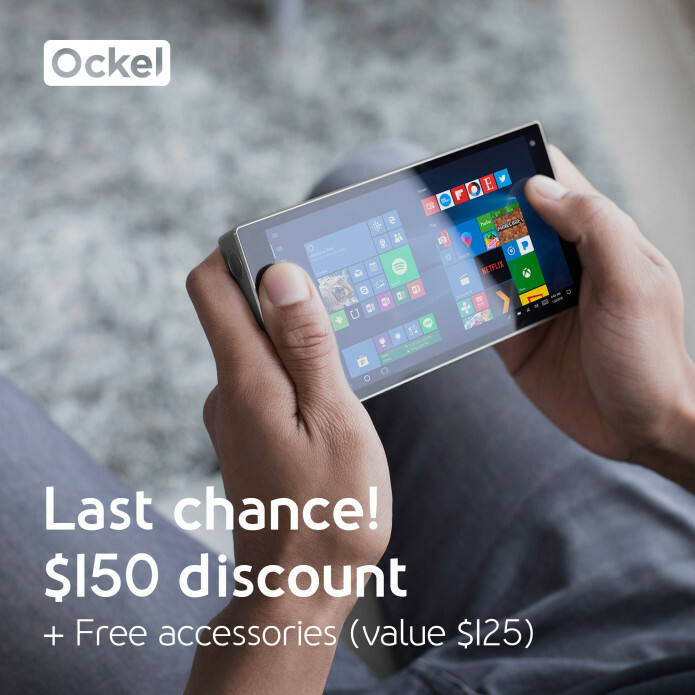 This is your last week, with the final chance to order the Ockel Sirius A or Ockel Sirius A Pro with a huge discount, including the Avanca® accessory pack worth $125: Tempered glass protector and true wireless earbuds. 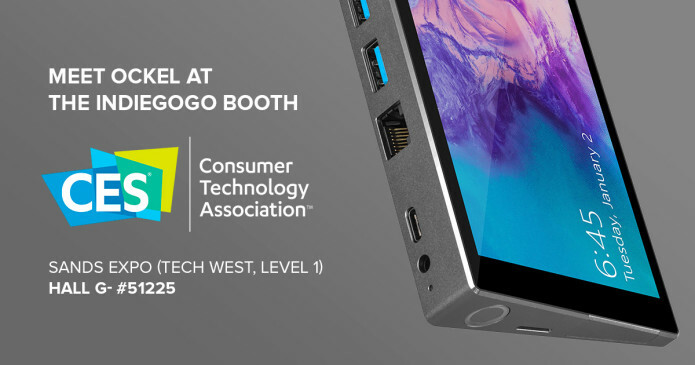 Tomorrow, on the 9th and Thursday the 11th of January our Product Specialist, Douwe de Gier can be found at the CES Indiegogo Stand in Hall G- #51225. Douwe will be able to answer all your questions regarding the Ockel products and obviously, you’ll have the chance to get your hands on the Ockel Sirius A and Ockel Sirius B Black Cherry as well! If you happen to be around, feel free to visit the Indiegogo booth for a meet & greet. Testing 1.. 2.. 3.. Go! Ockel Computers was launched in 2015 during the IFA, the largest European trade show for consumer electronics, in Berlin (Germany). Last week our engineering team has worked hard on the integration of several components on the Ockel Sirius A (Pro). 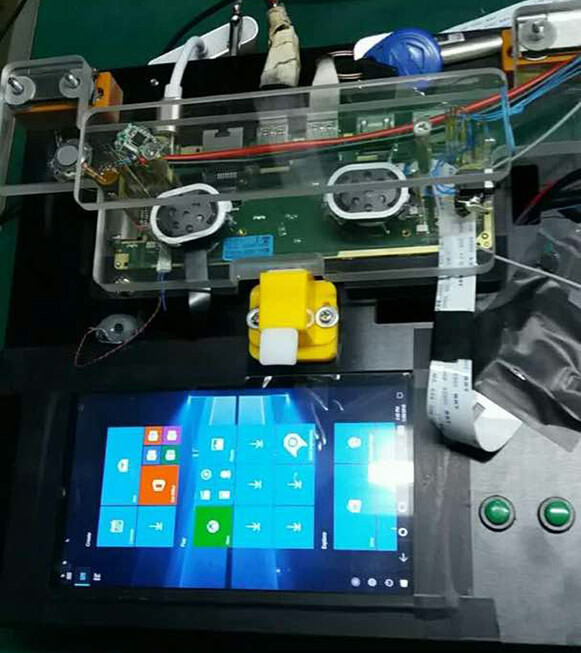 As we’ve communicated in an earlier update, we are working on several engineering validation samples of the Ockel Sirius A (Pro), which will be tested by Microsoft, Intel and Ockel Computers.